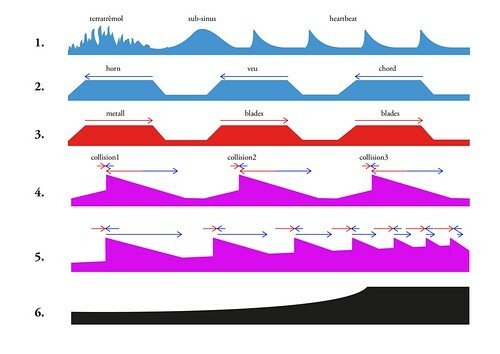 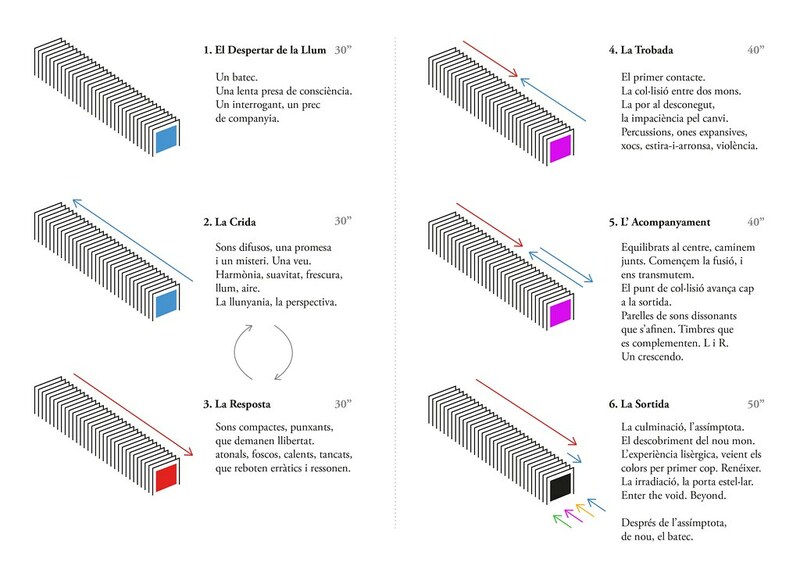 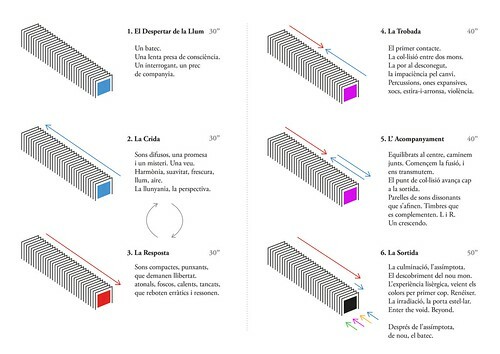  An study on visual and auditory perspective. 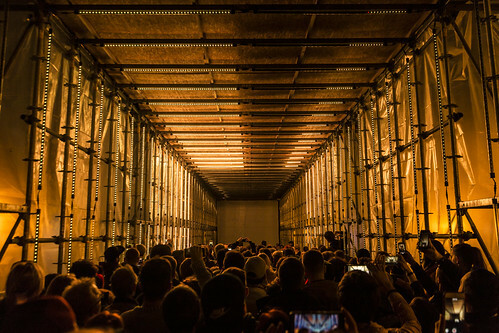 By generating a long, highly immersive tunnel, vanishing points are made visible, reinforcing depth effects and the perception of scale. 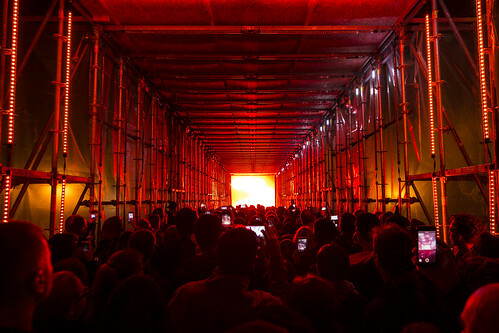 A cluster of 16 speakers along the tunnel mimic this very same perspective and depth effect through multichannel sound. 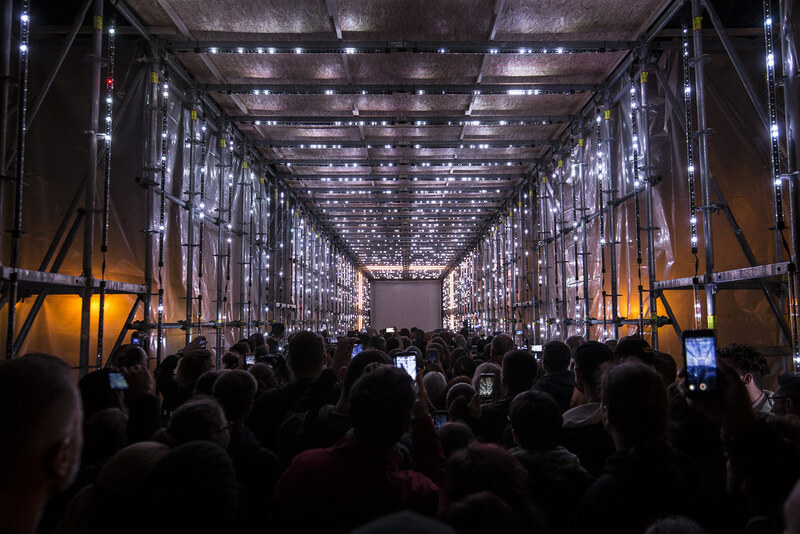 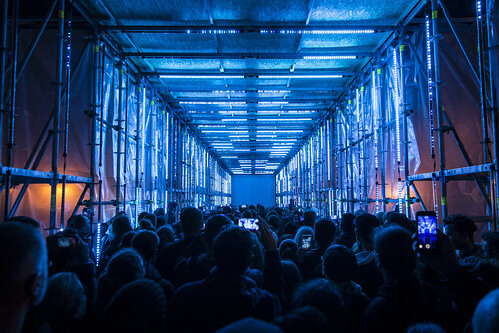 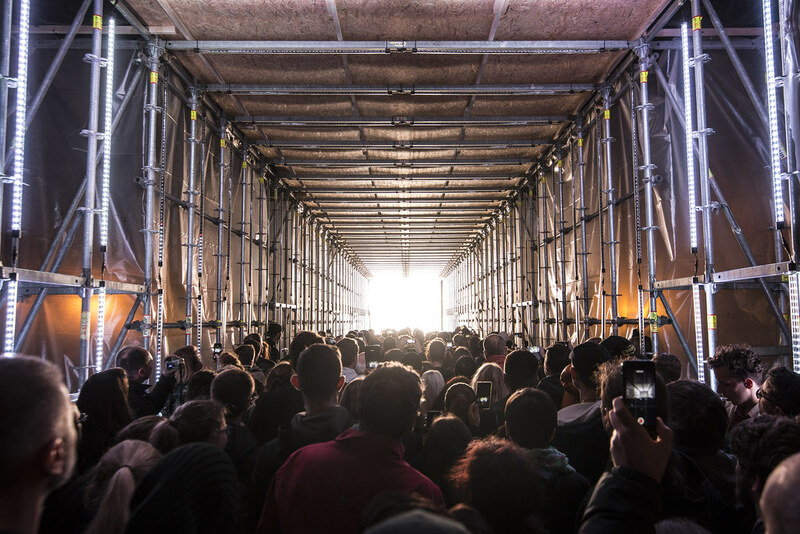 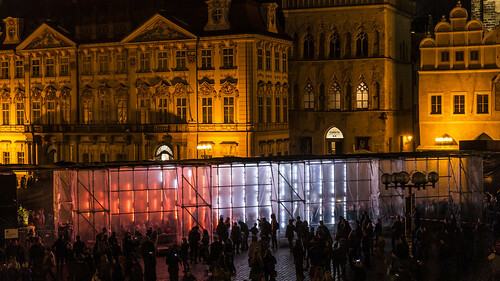 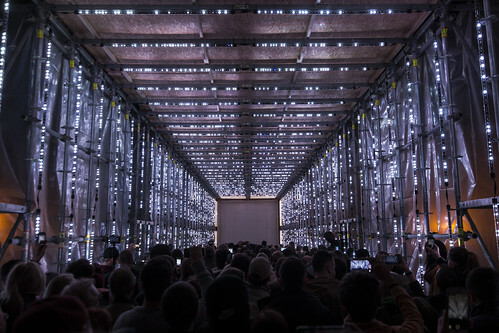 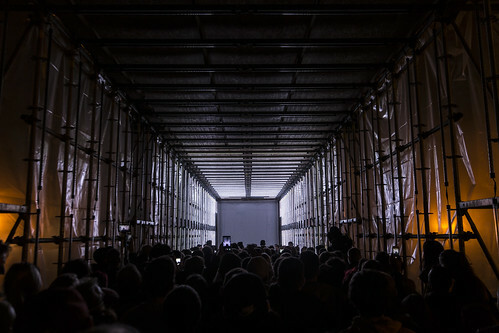 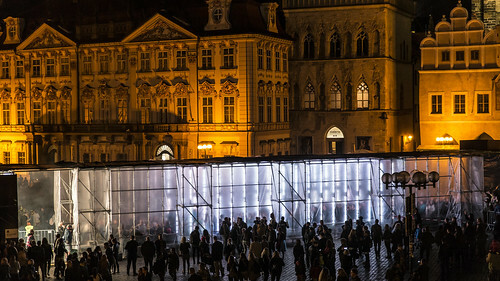 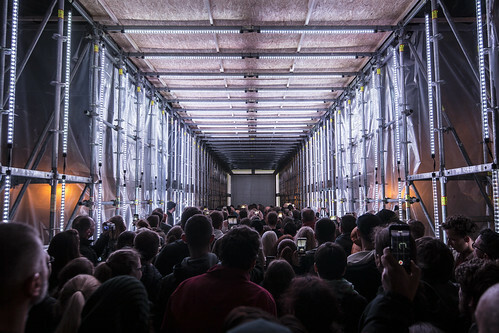 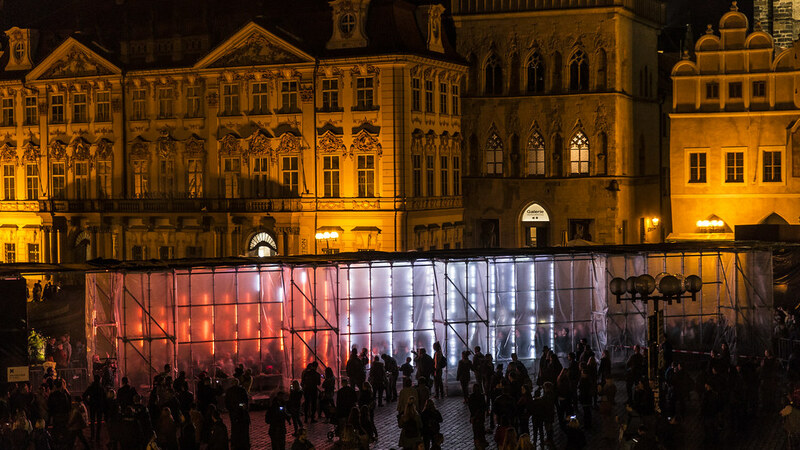 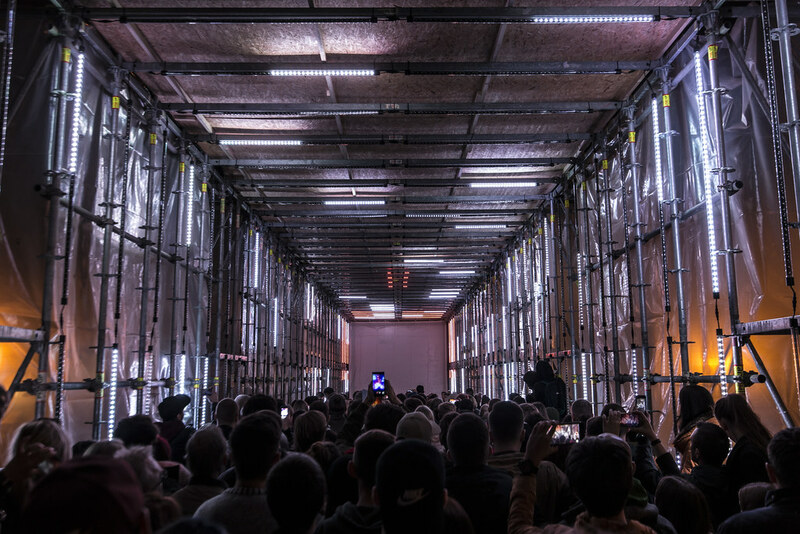 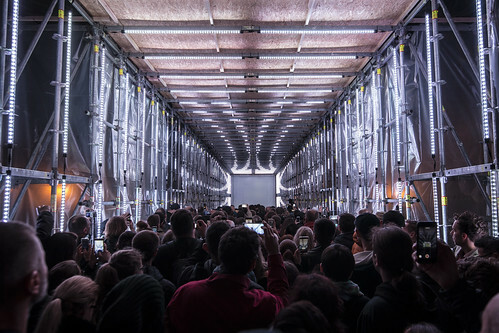 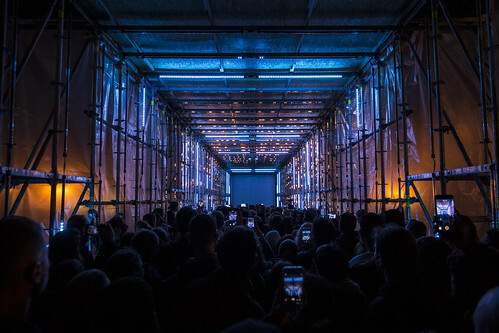 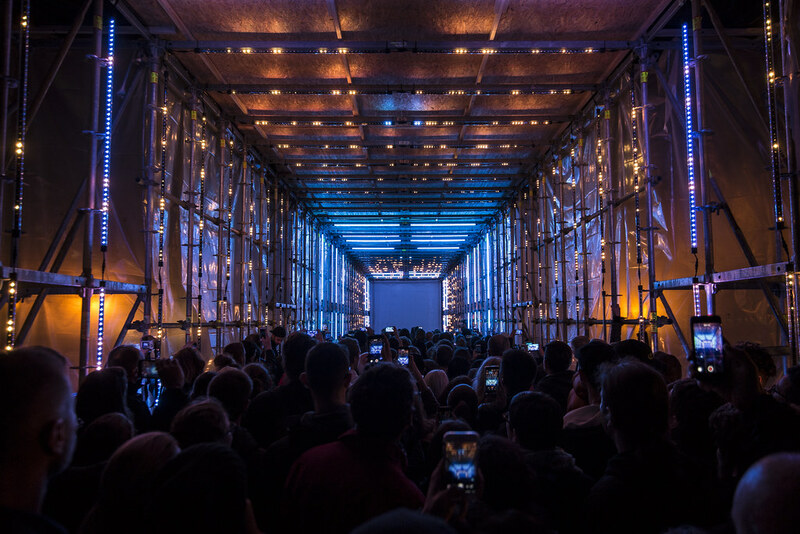 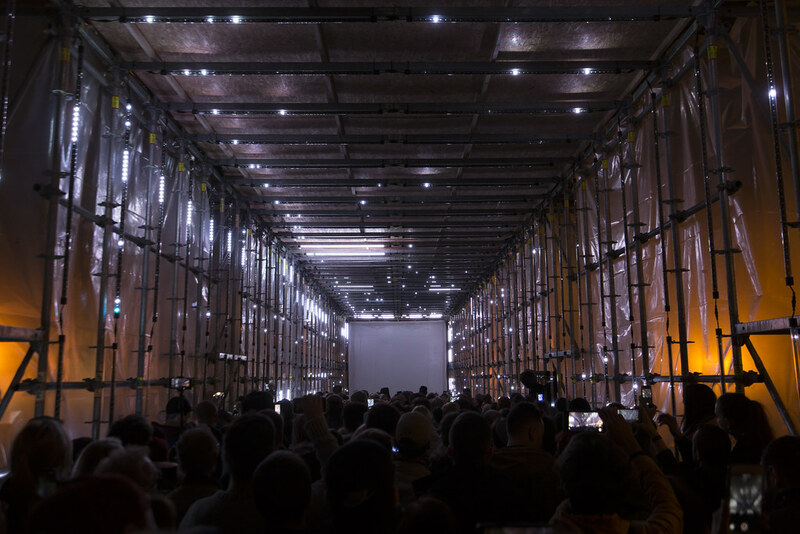 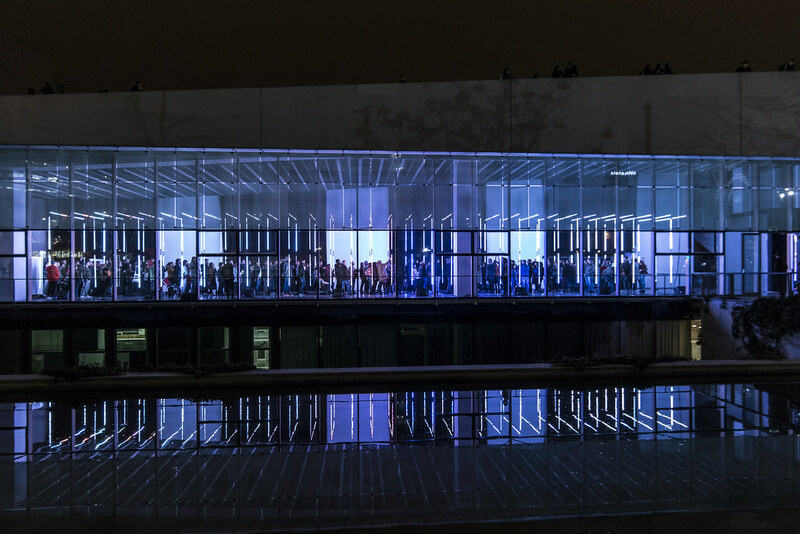 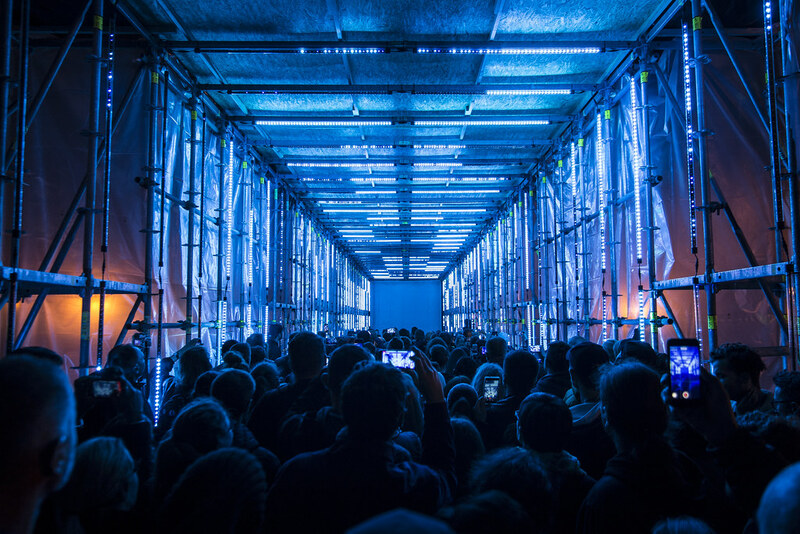 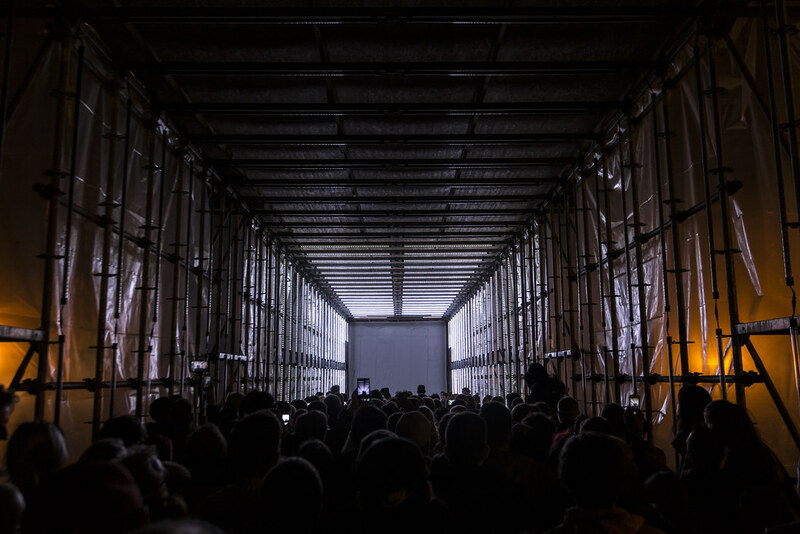 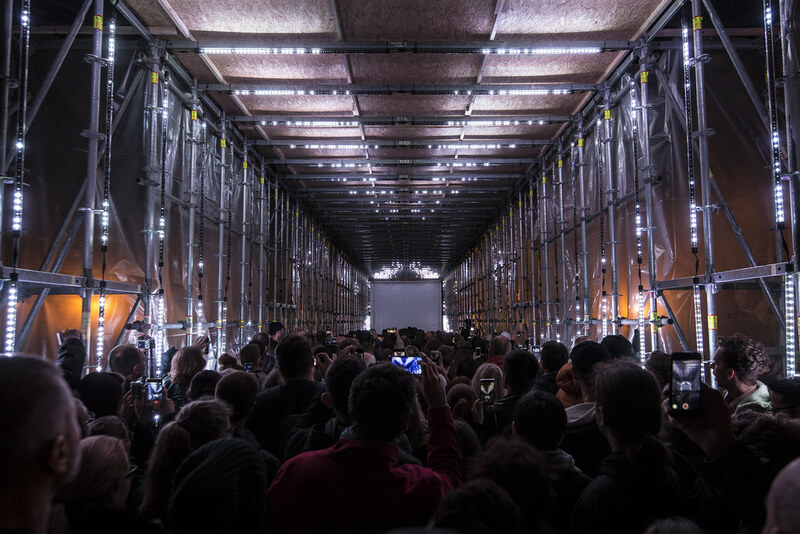 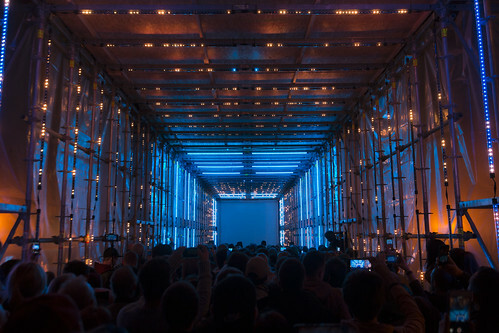 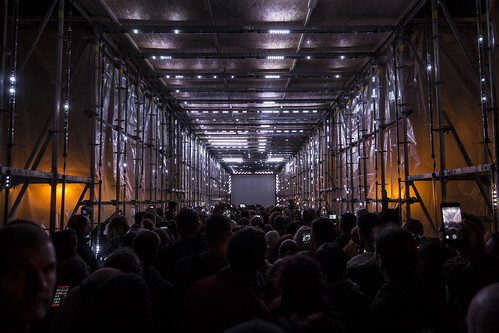 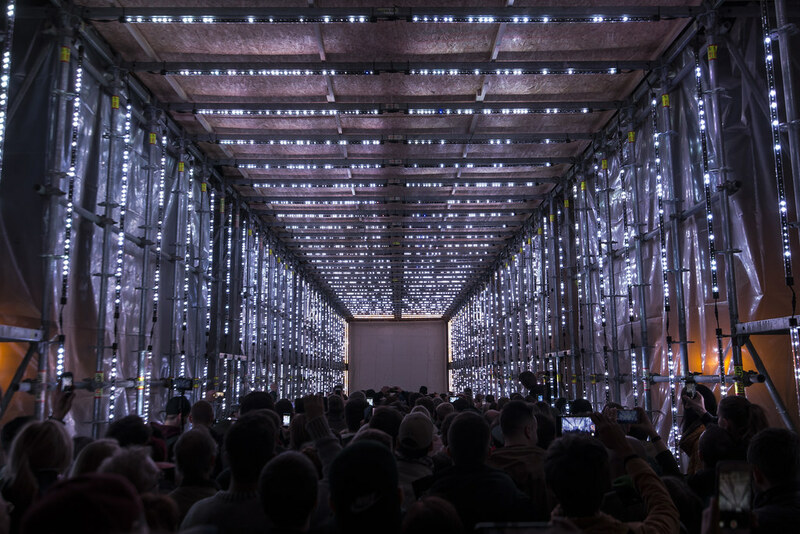 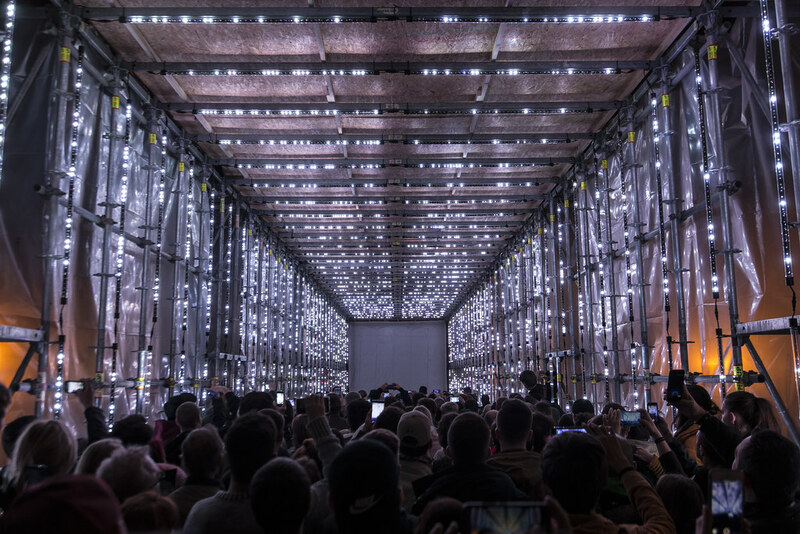 This audiovisual enhancement of spatial perception allow to subvert this perspective concepts, driving the audience into a “travel without moving” experience. 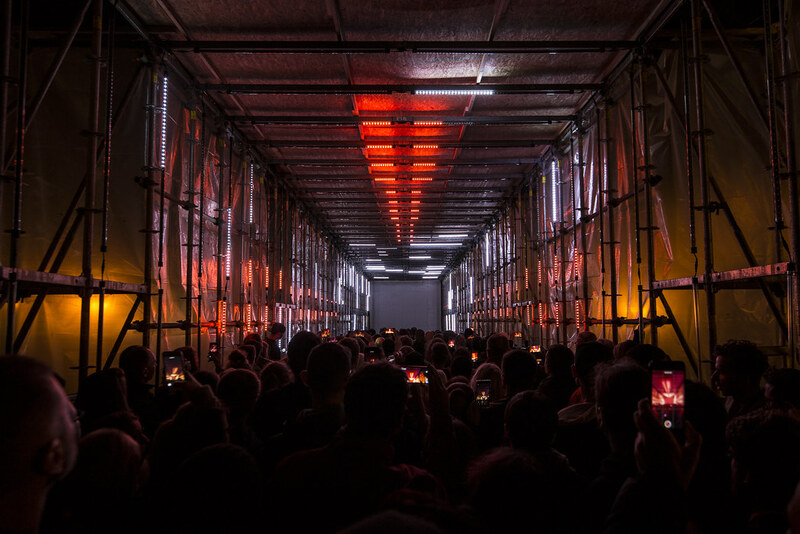 Beyond is also a tale of the collision between 2 forces: inner and outer, darkness and light, death and life. 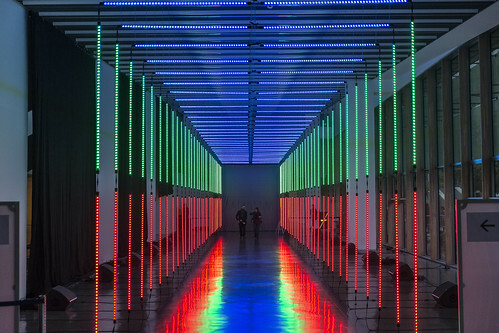 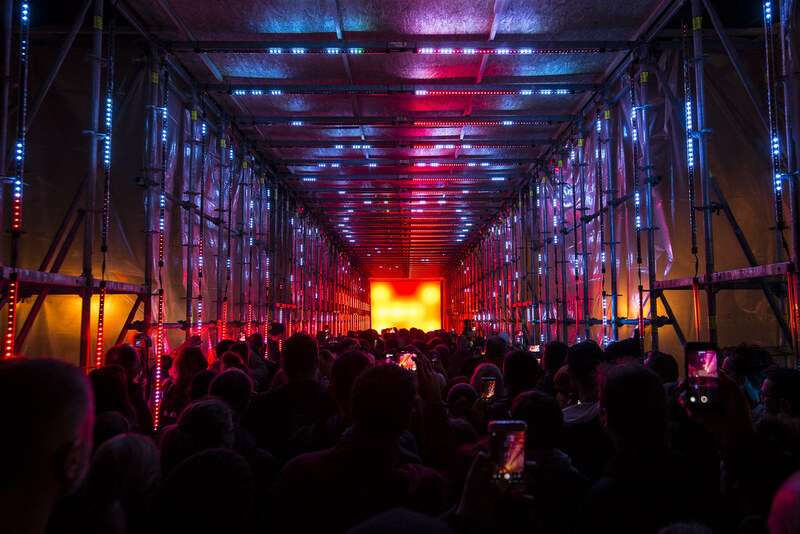 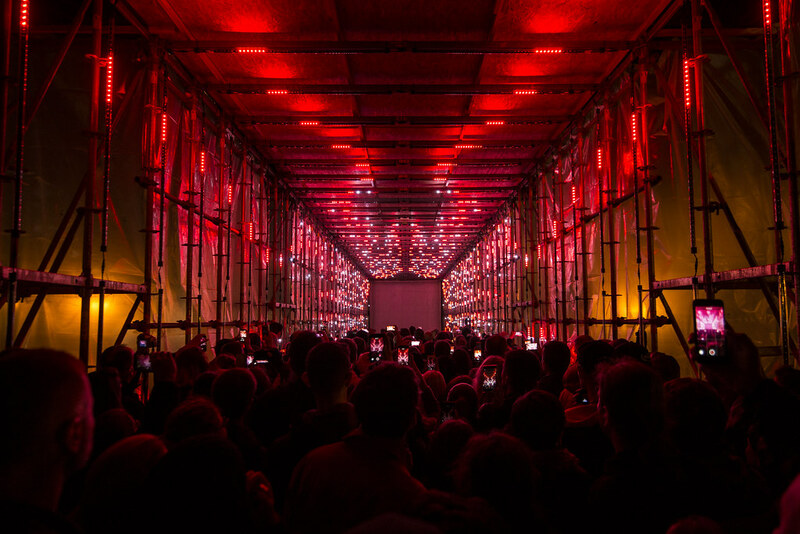 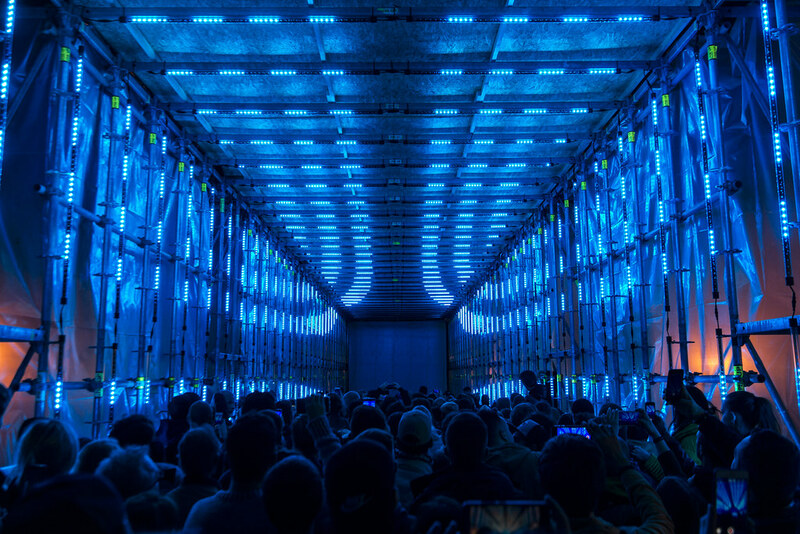 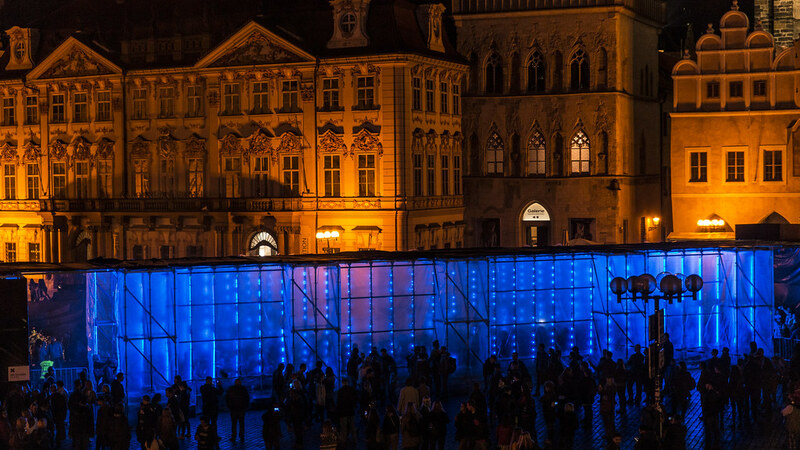 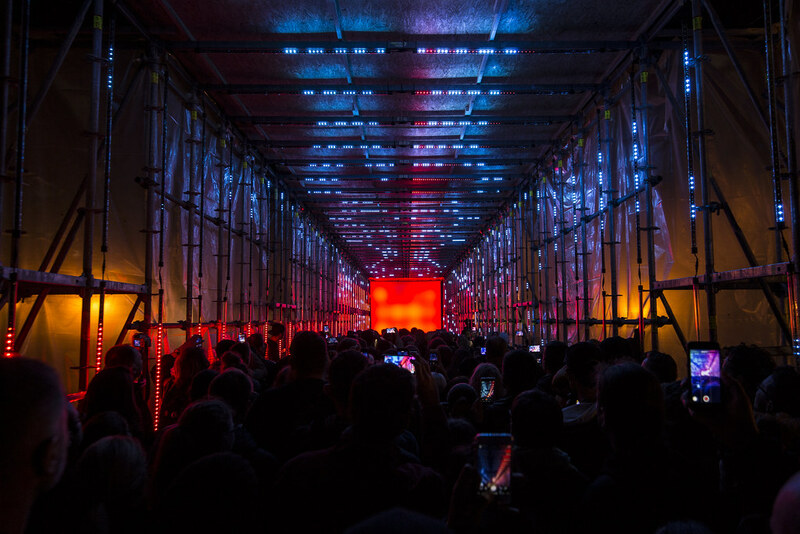 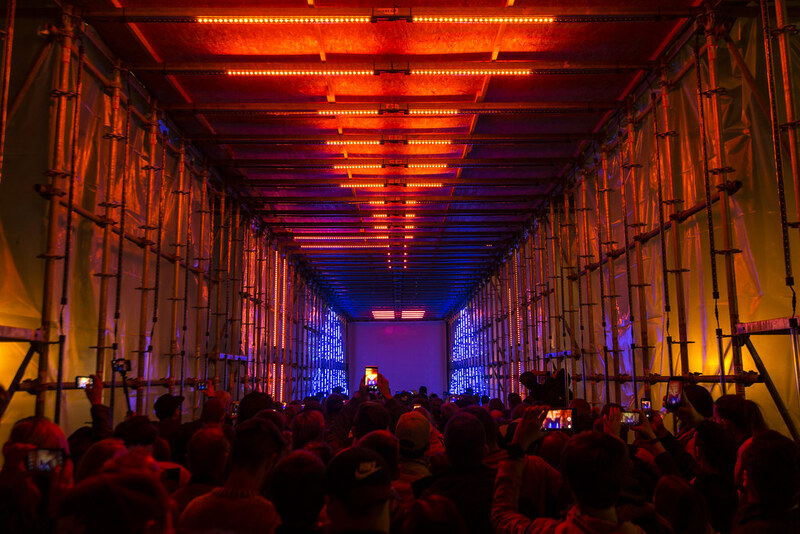 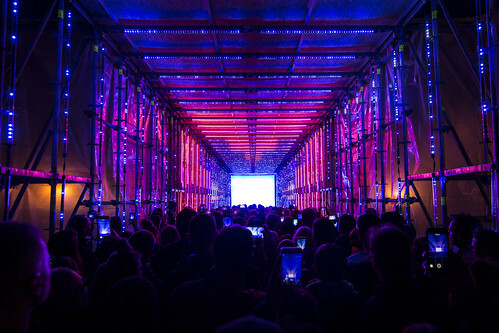 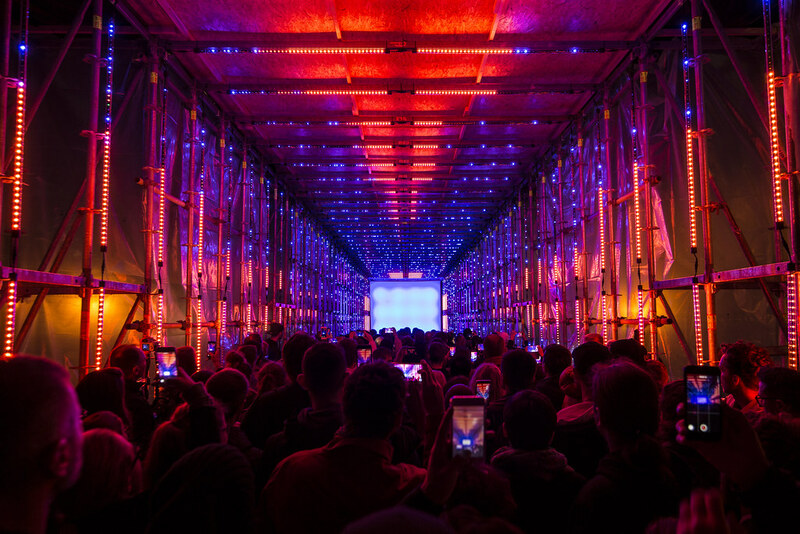 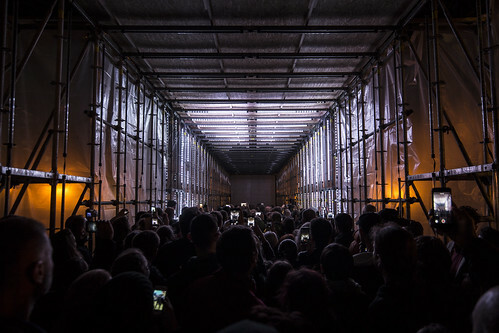 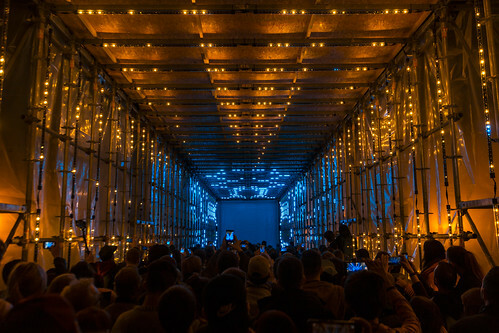 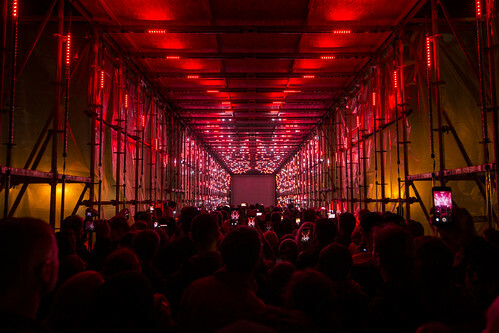 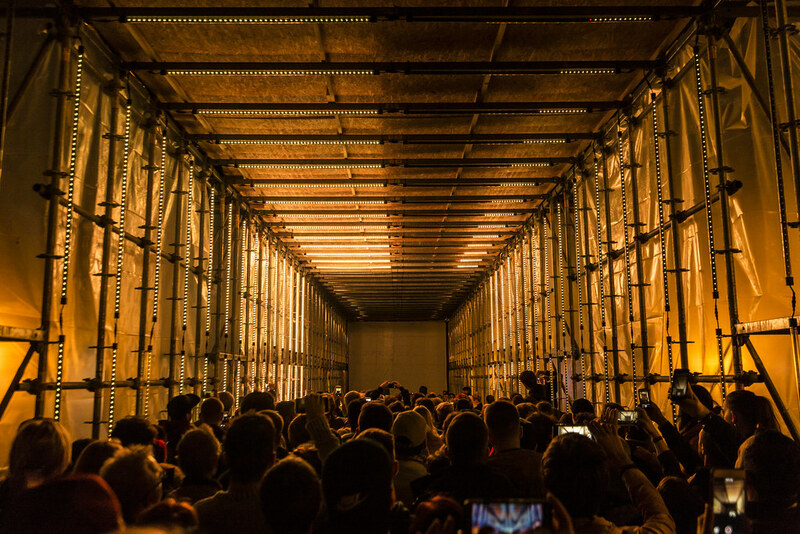 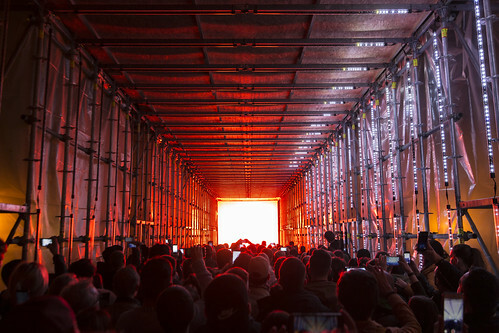 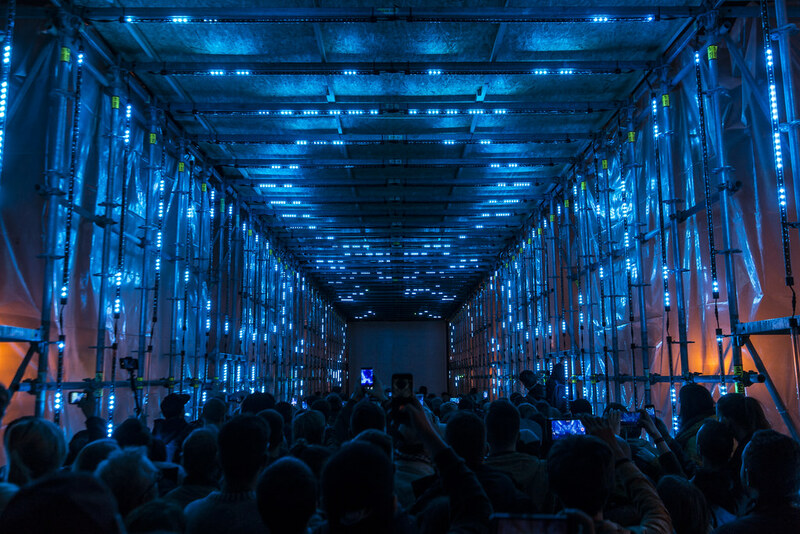 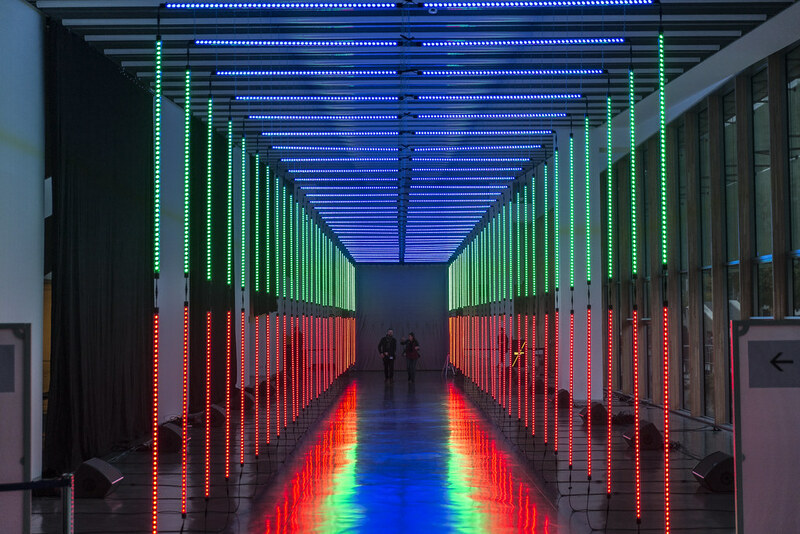 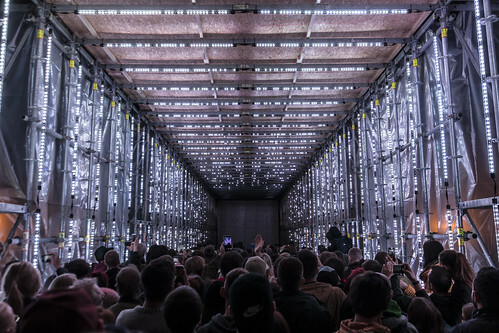 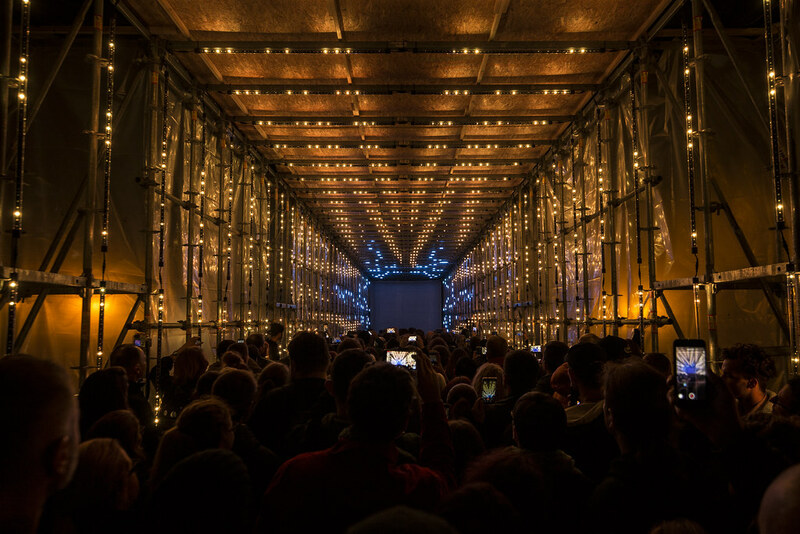 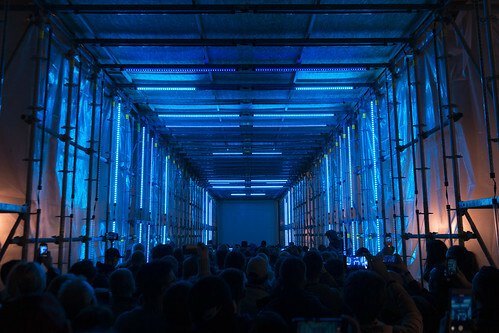 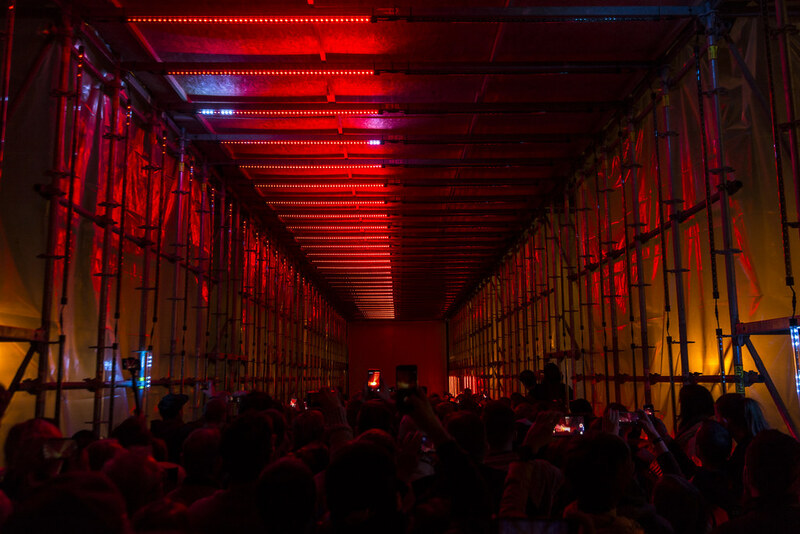 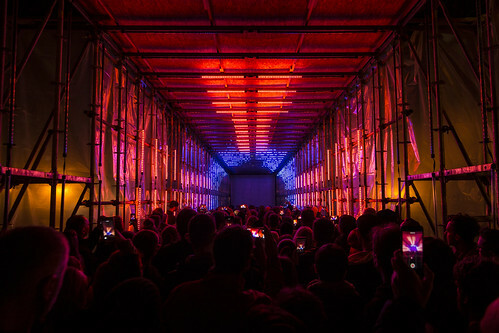 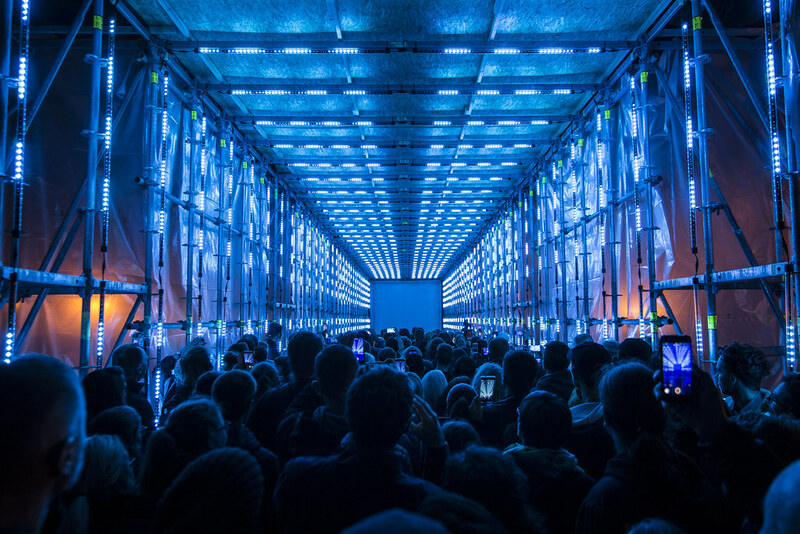 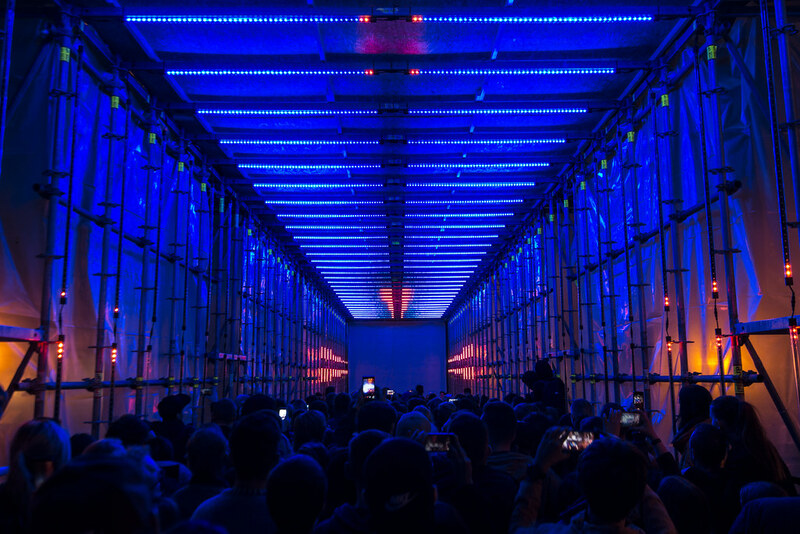 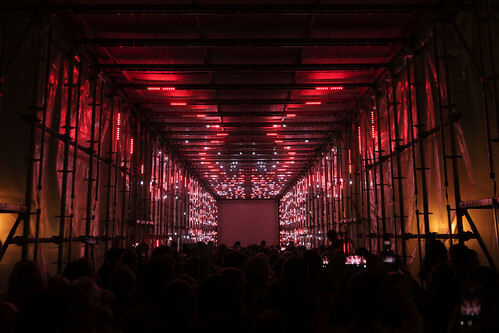 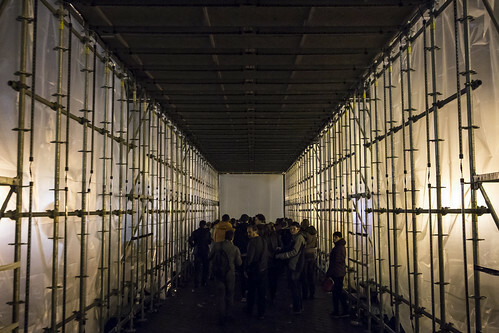 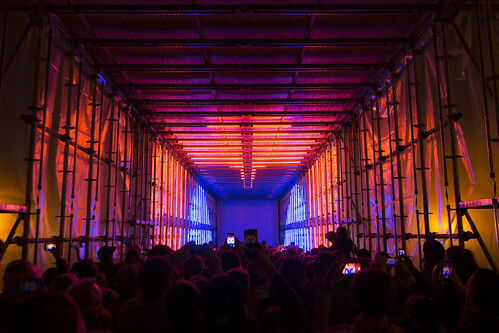 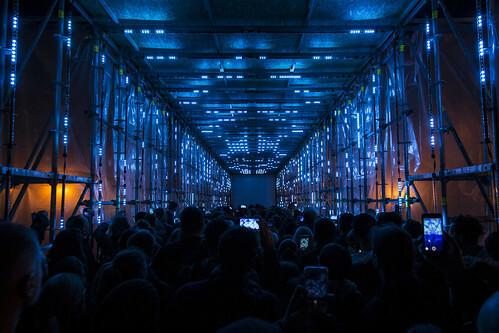 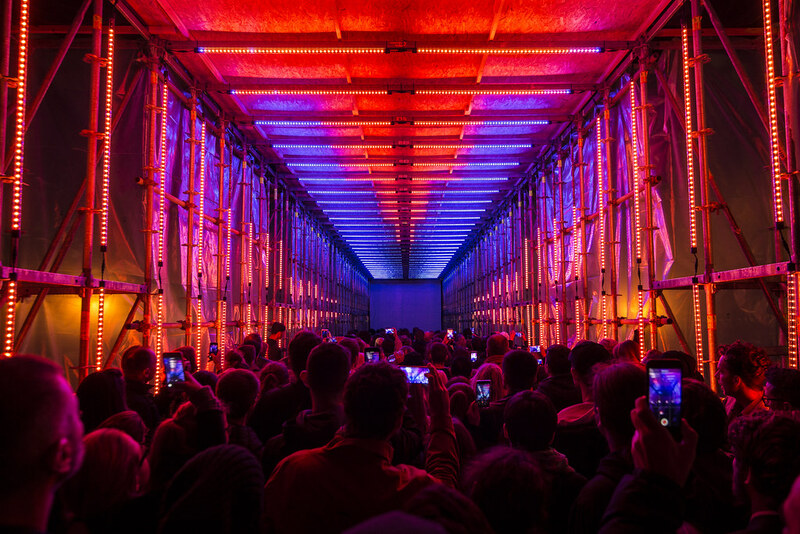 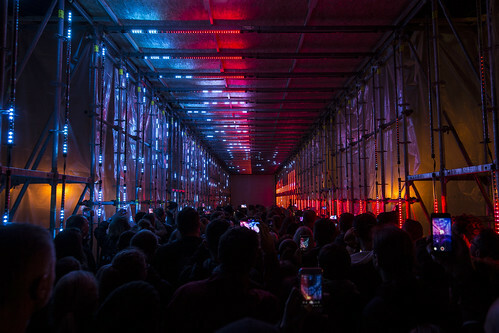 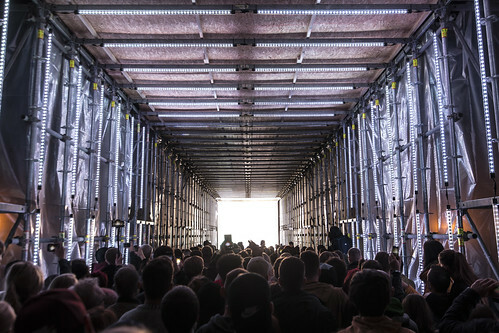 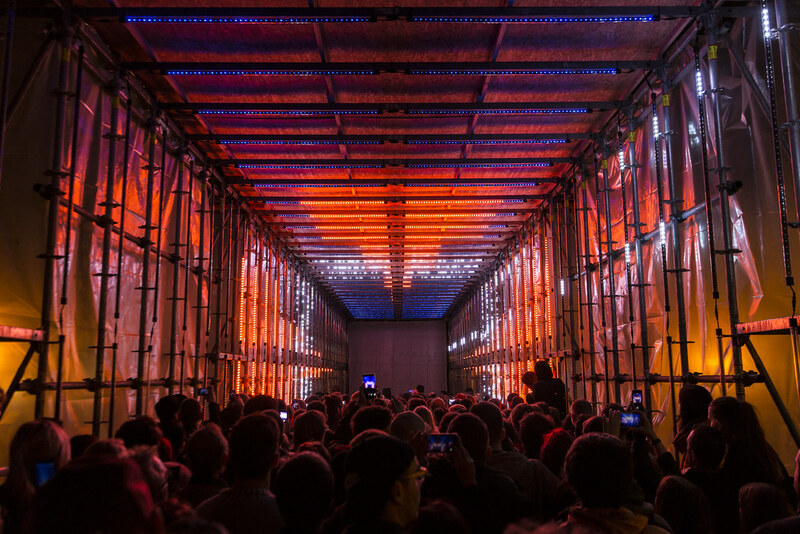 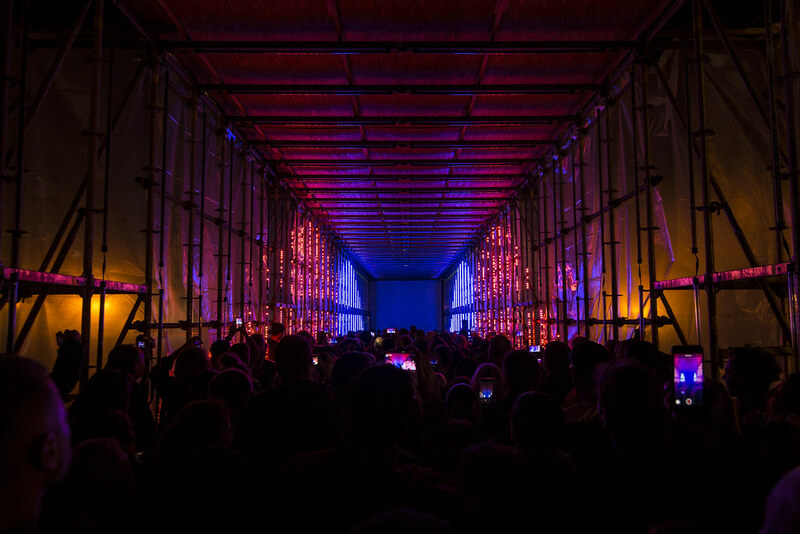 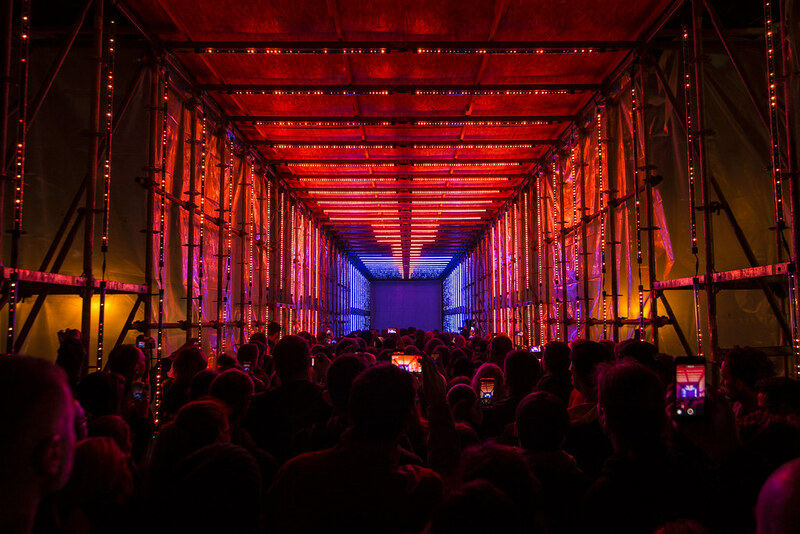 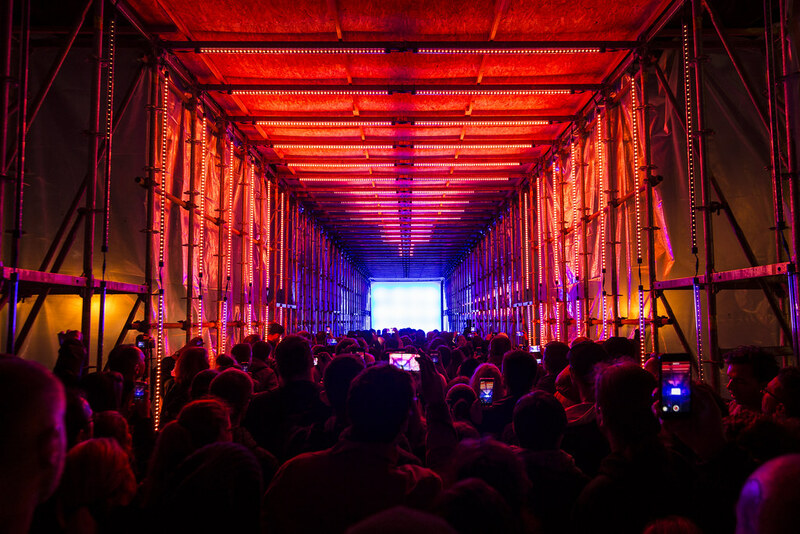 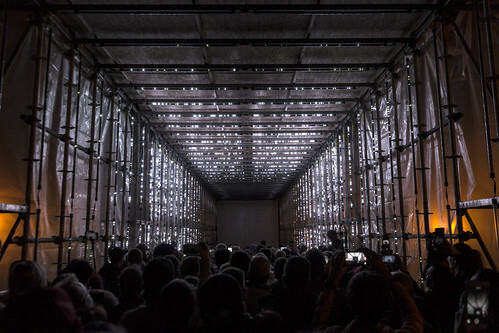 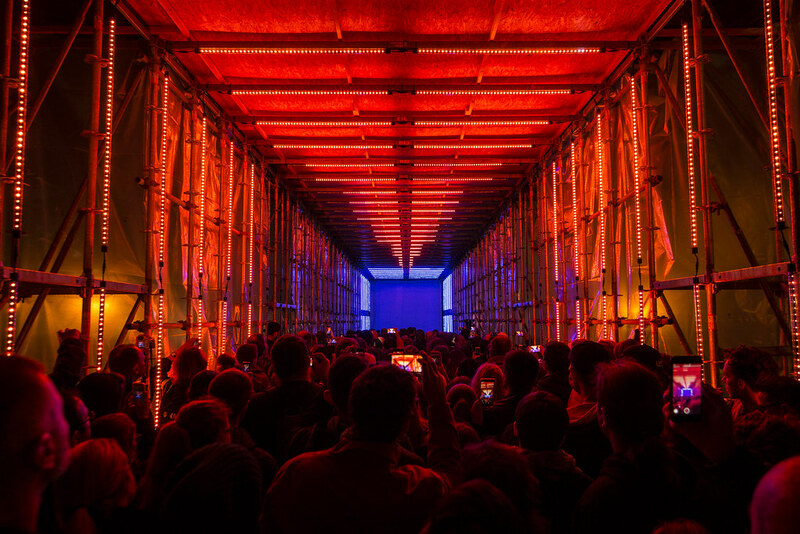 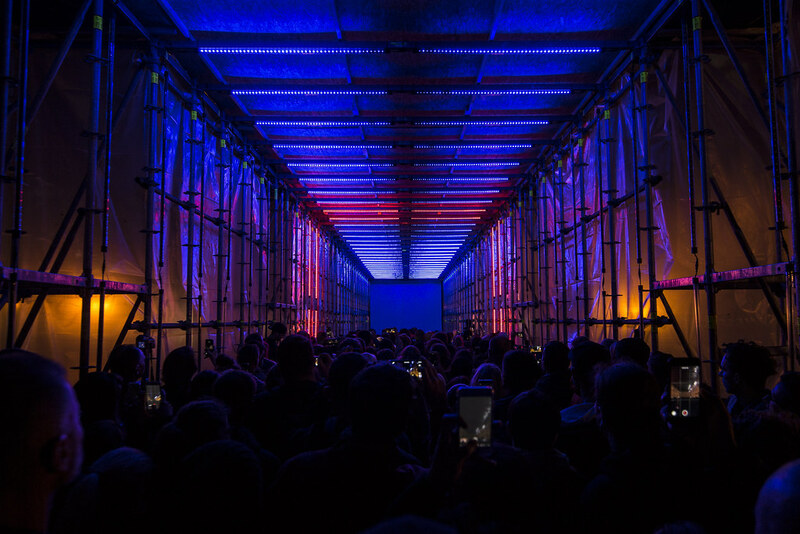 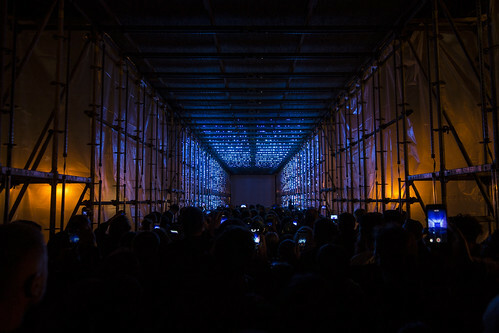 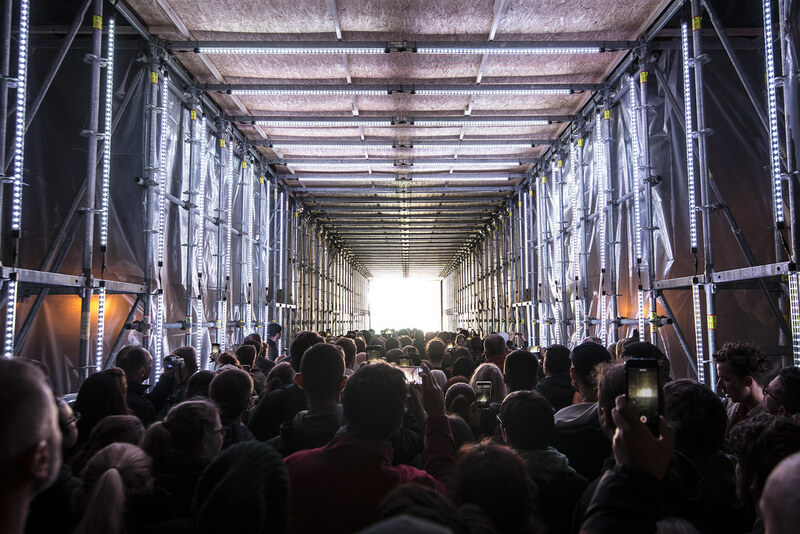 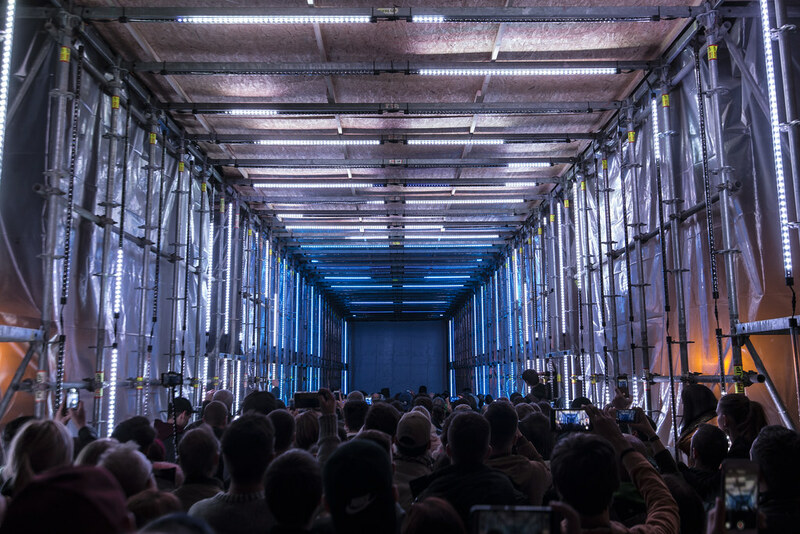 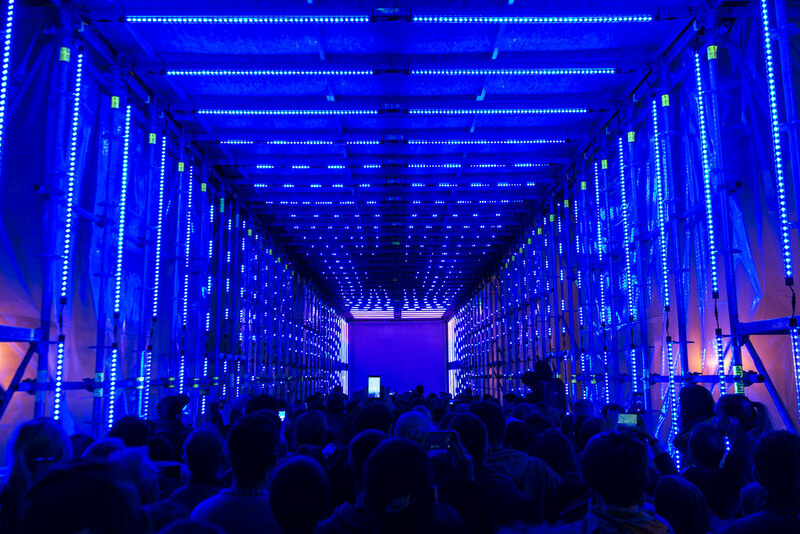 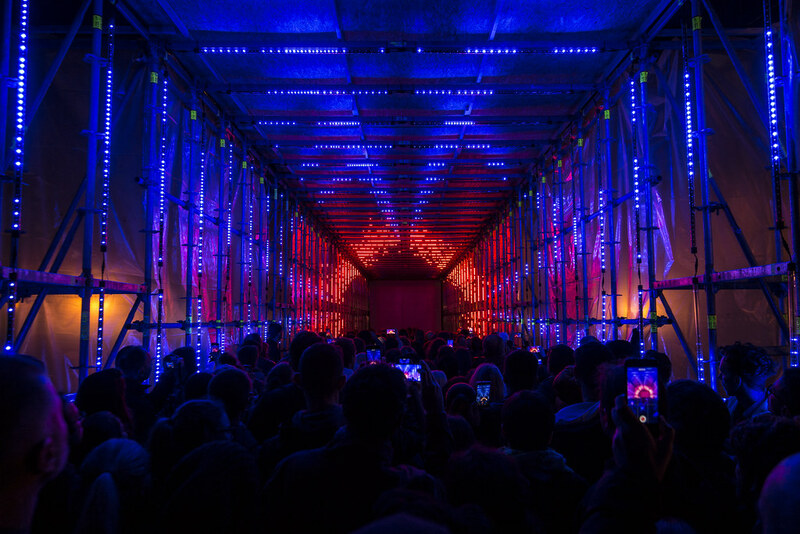 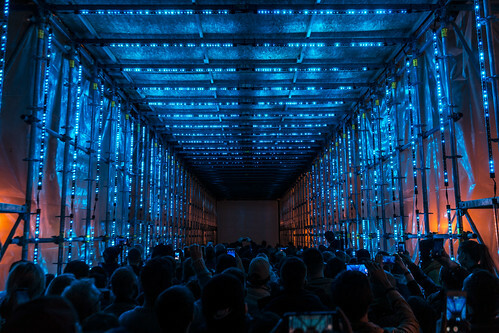 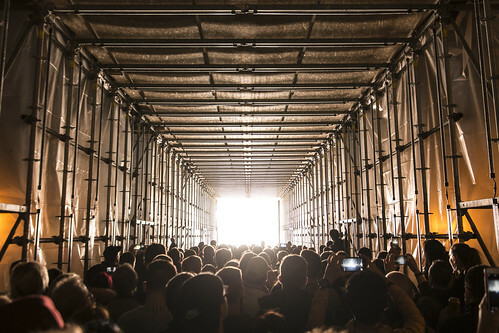 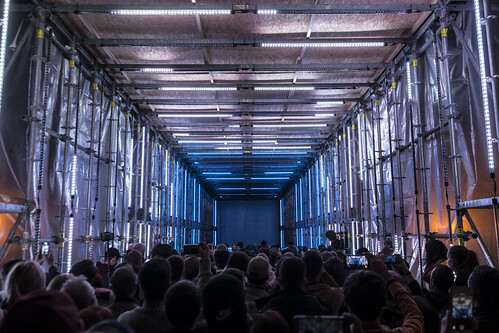 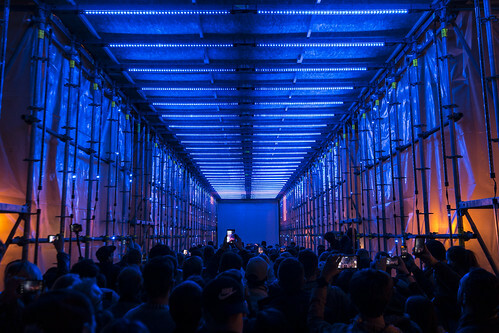 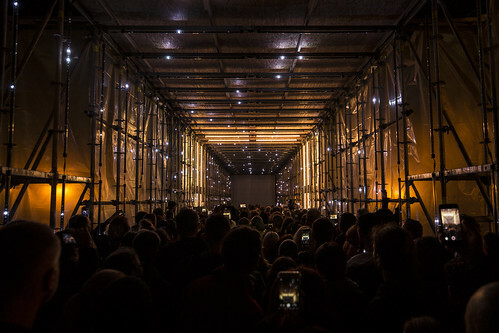 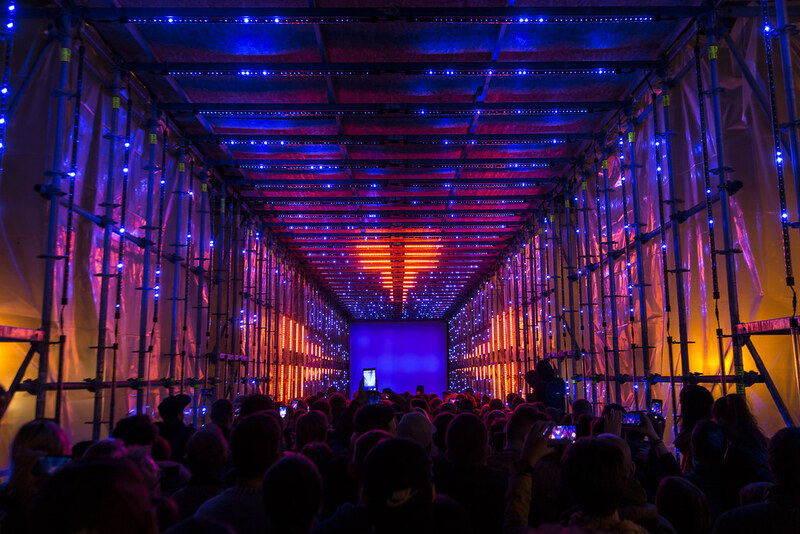 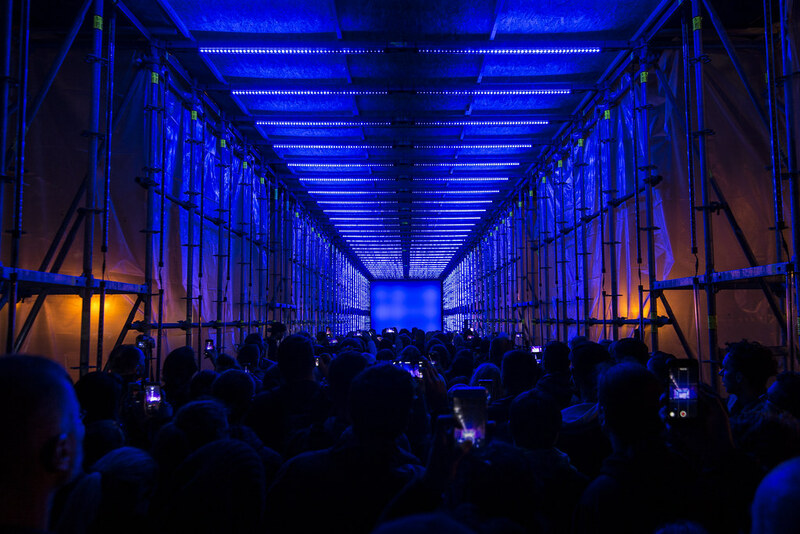 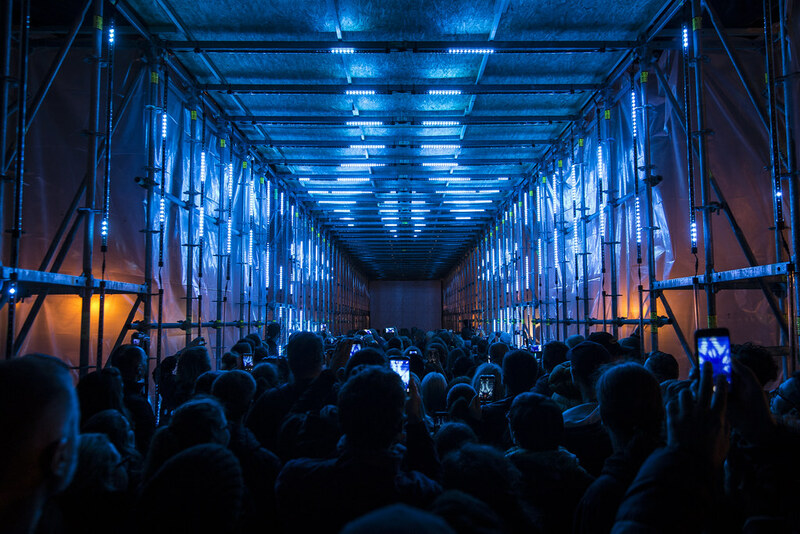 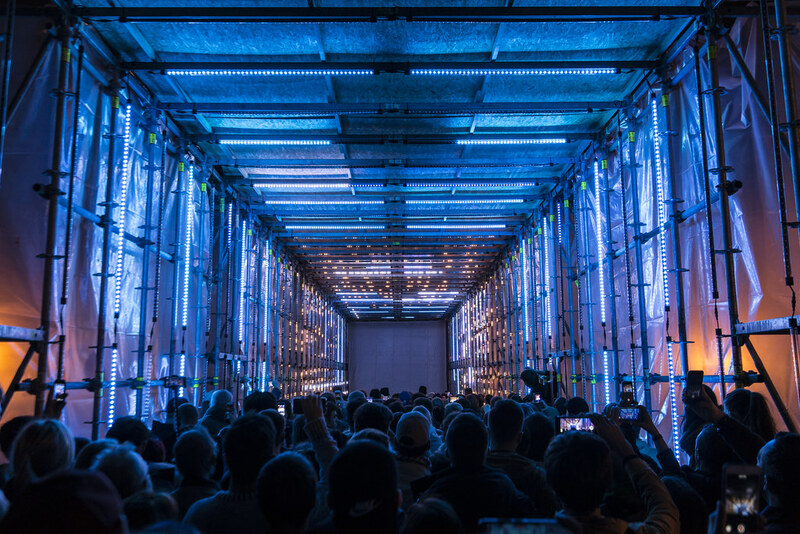 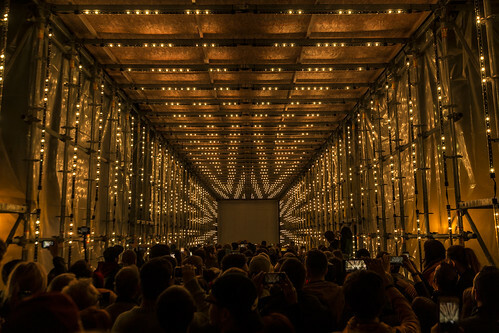 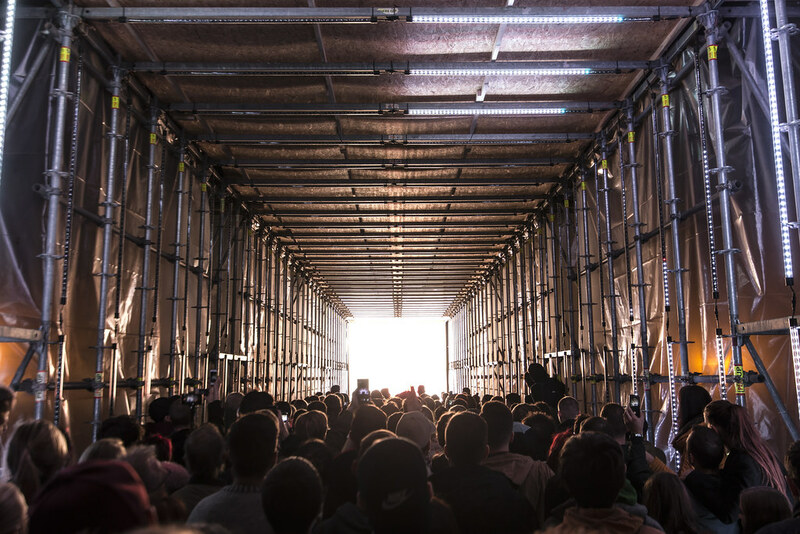 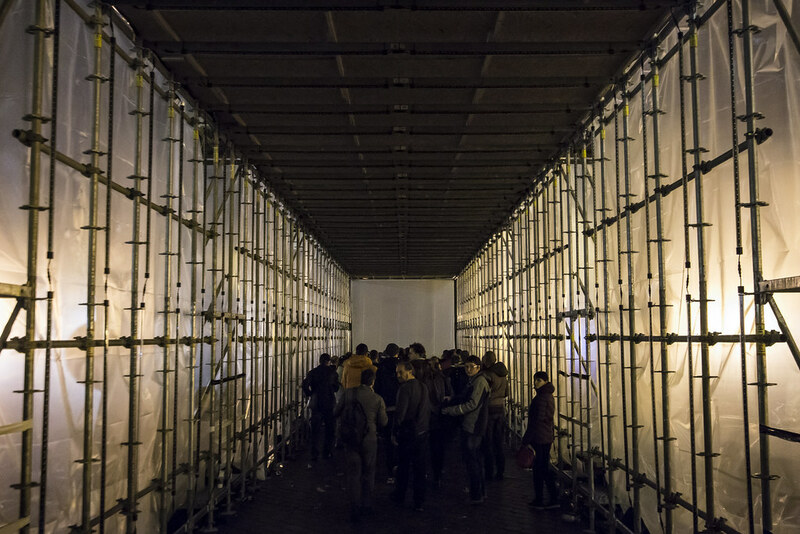 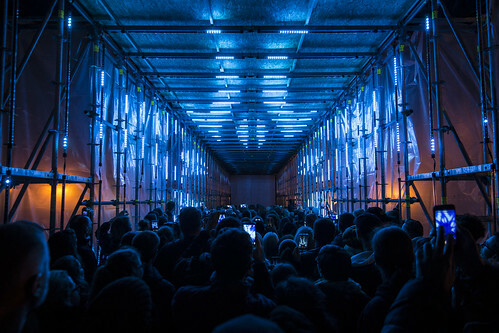 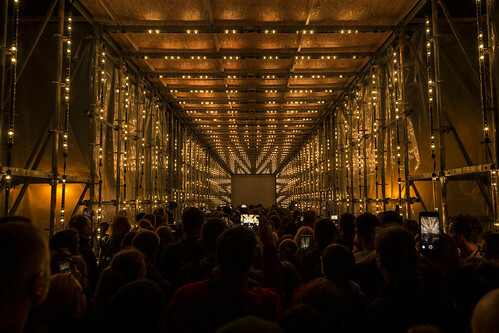 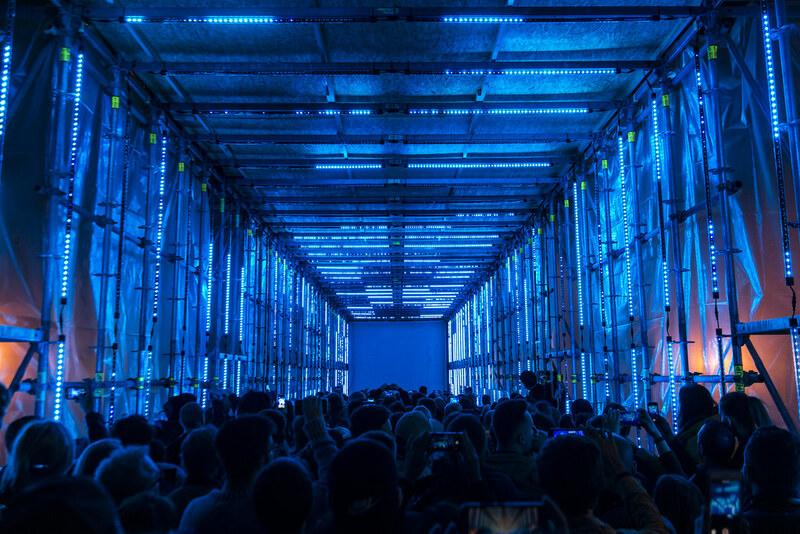 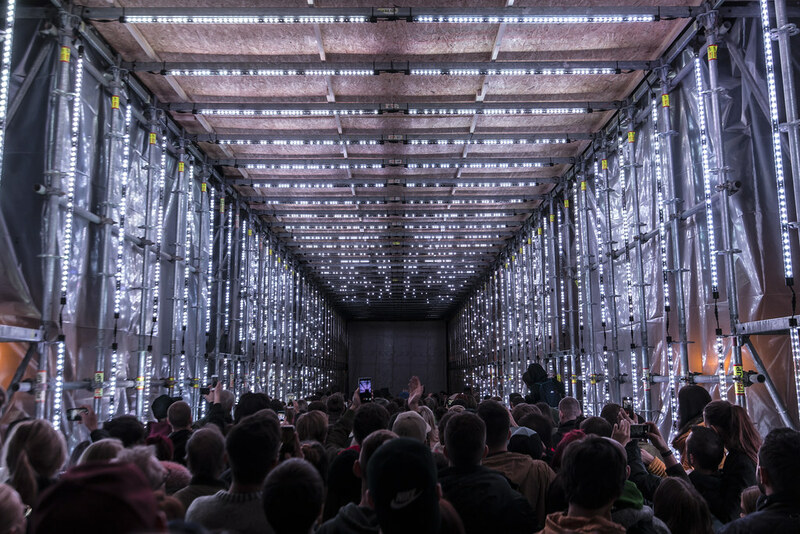 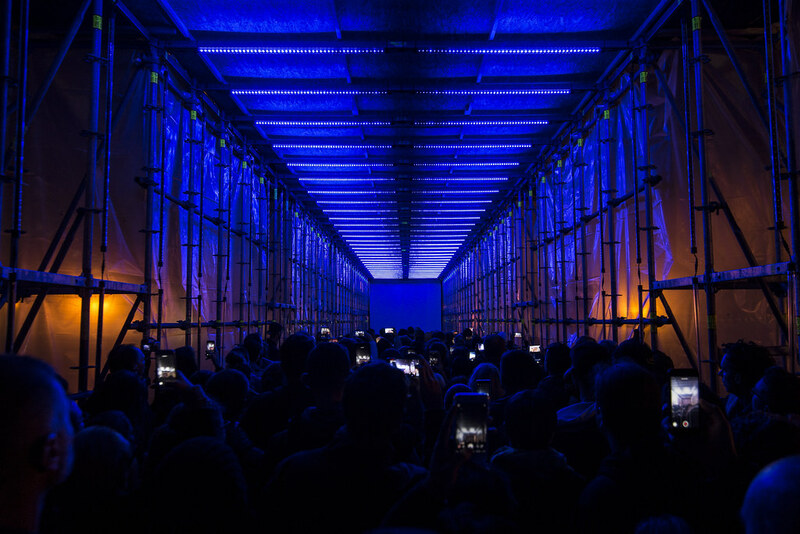 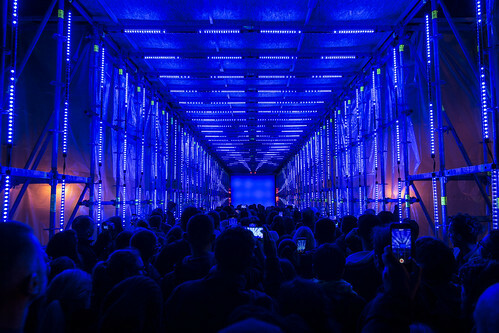 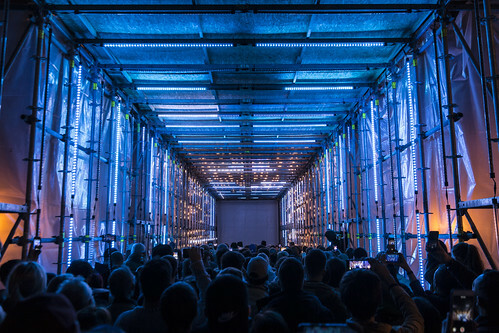 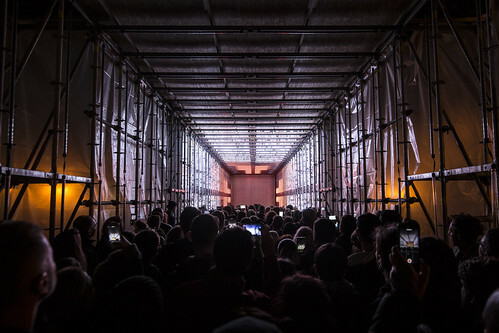 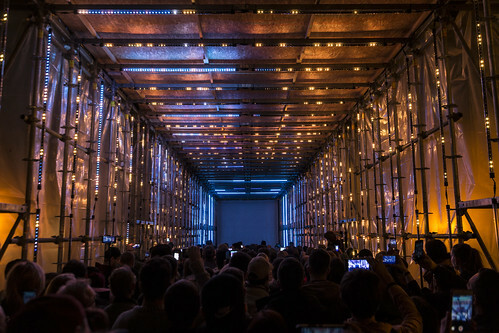 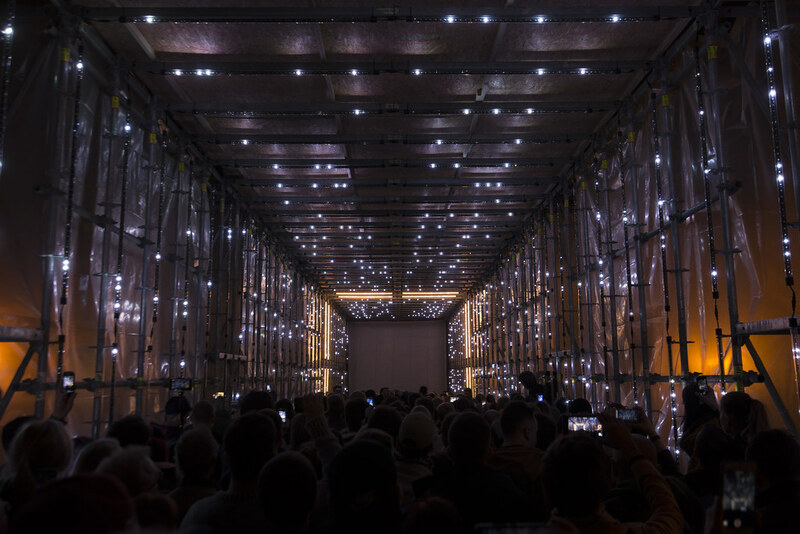 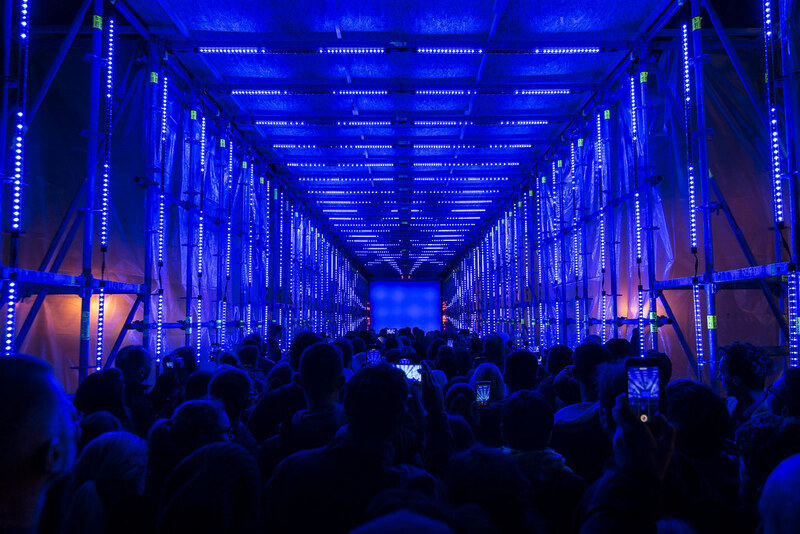 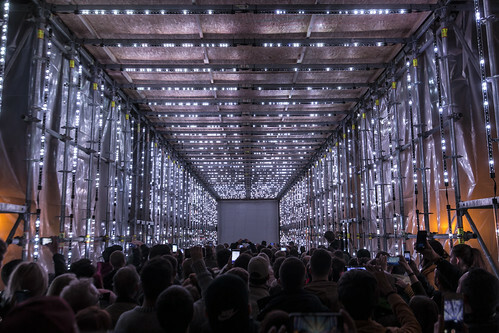 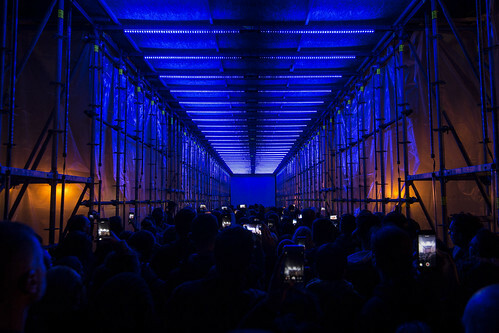 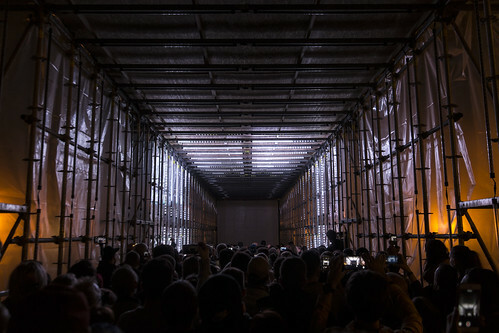 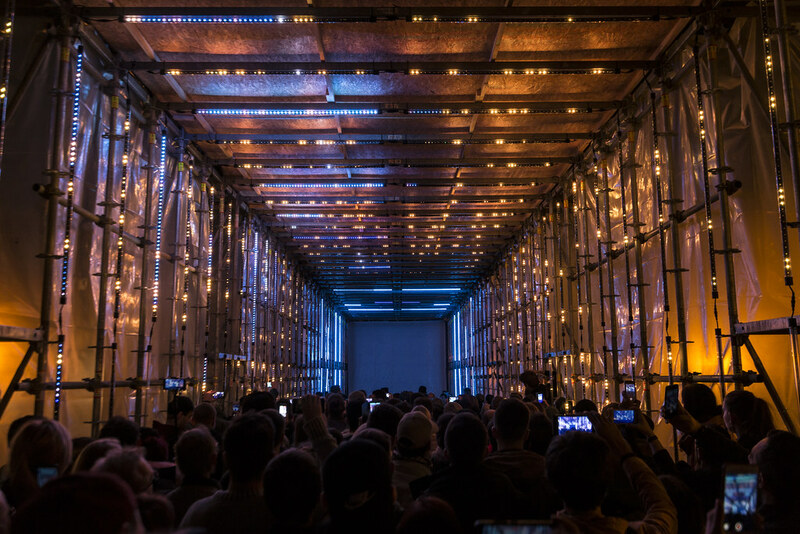 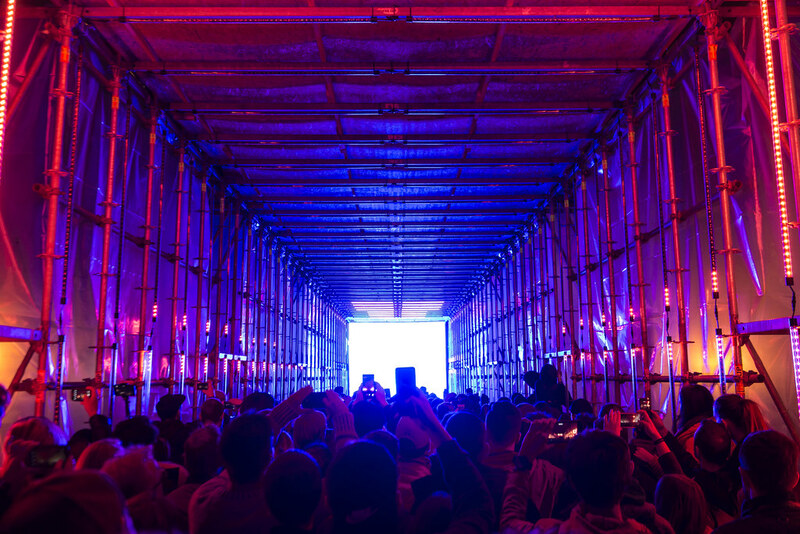 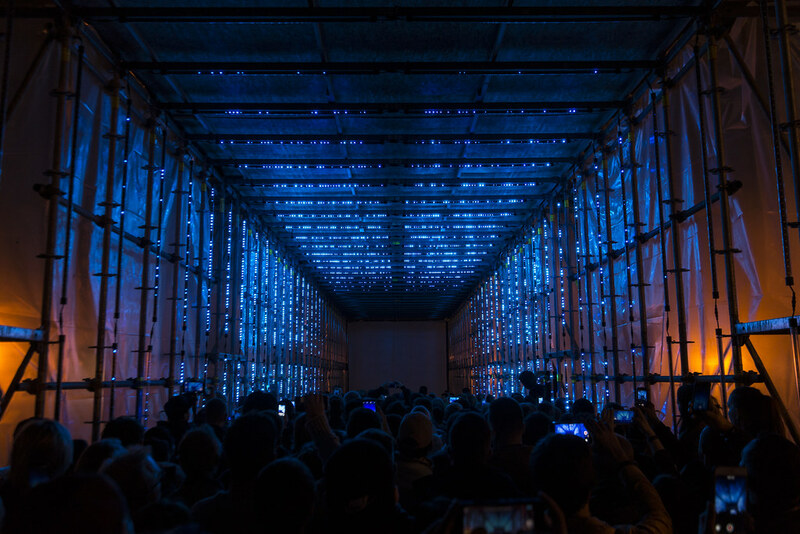 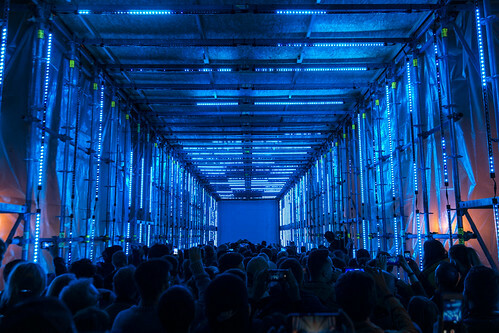 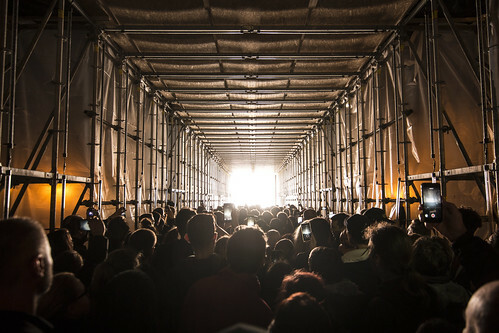 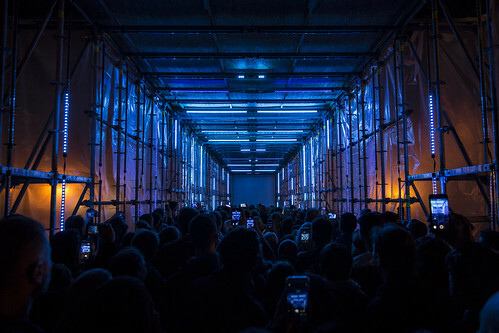 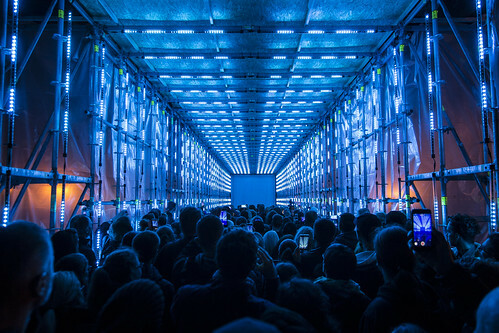 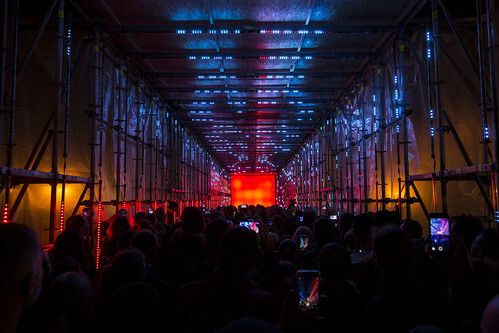 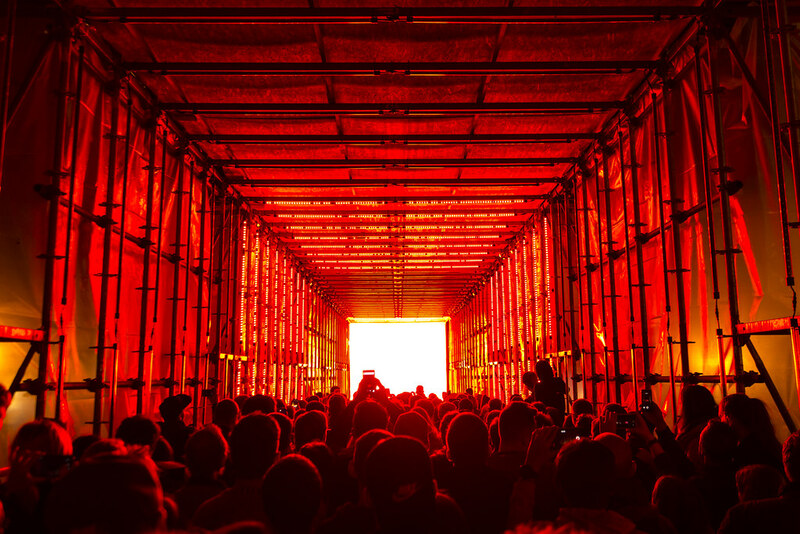 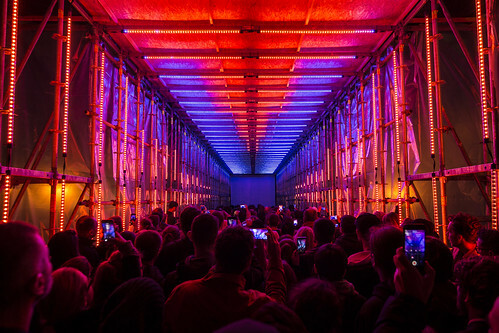 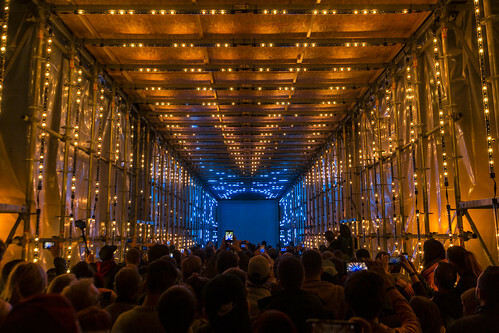 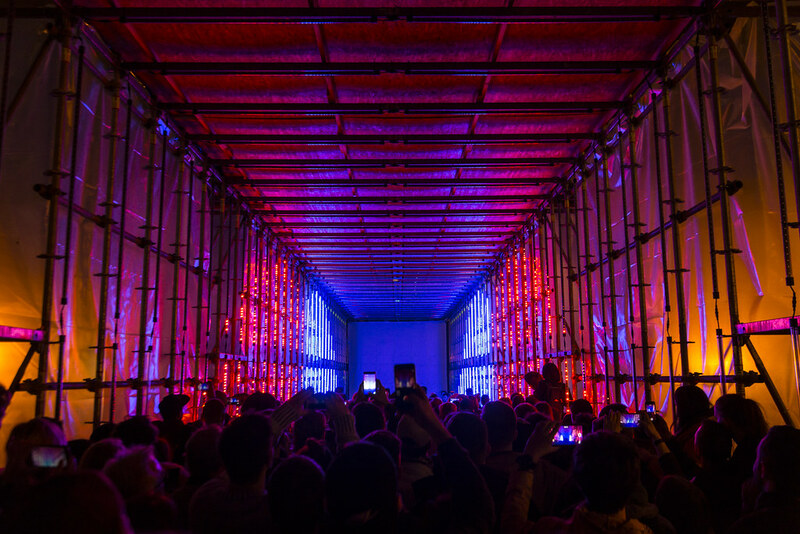 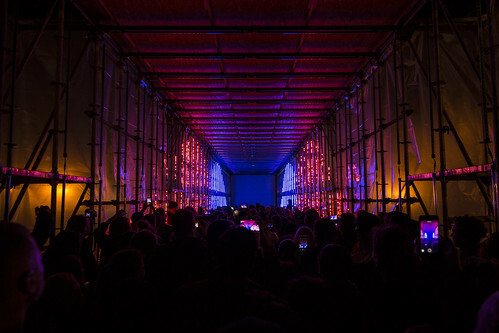 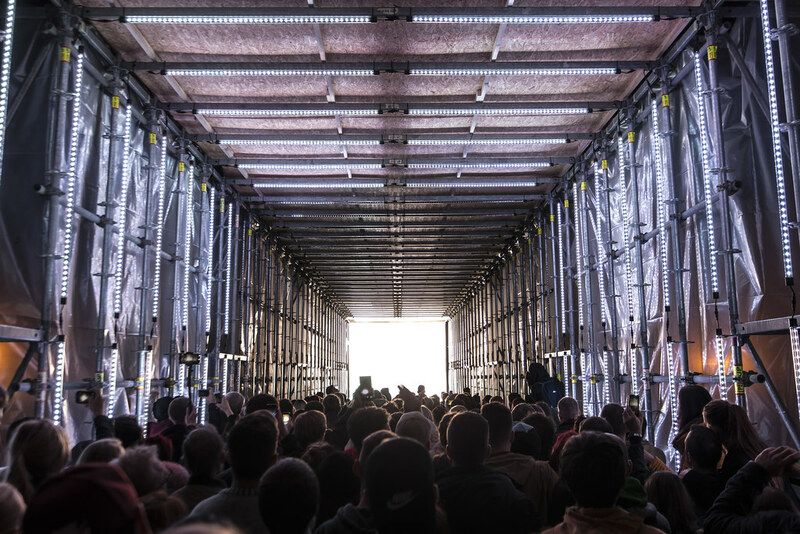 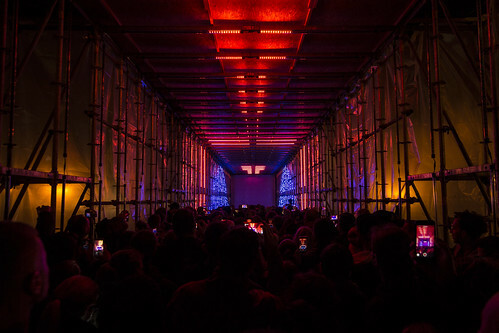 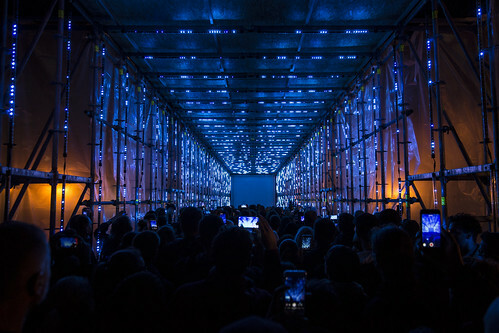 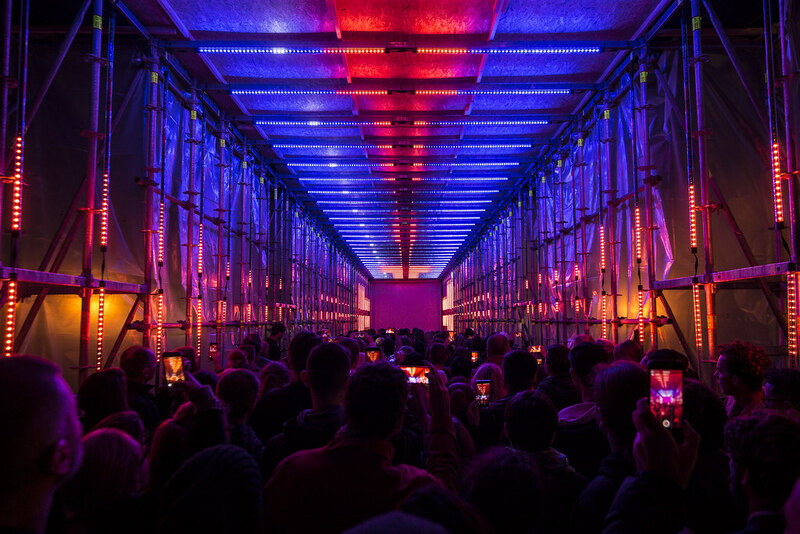 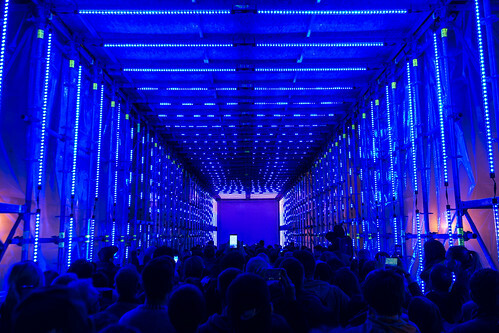 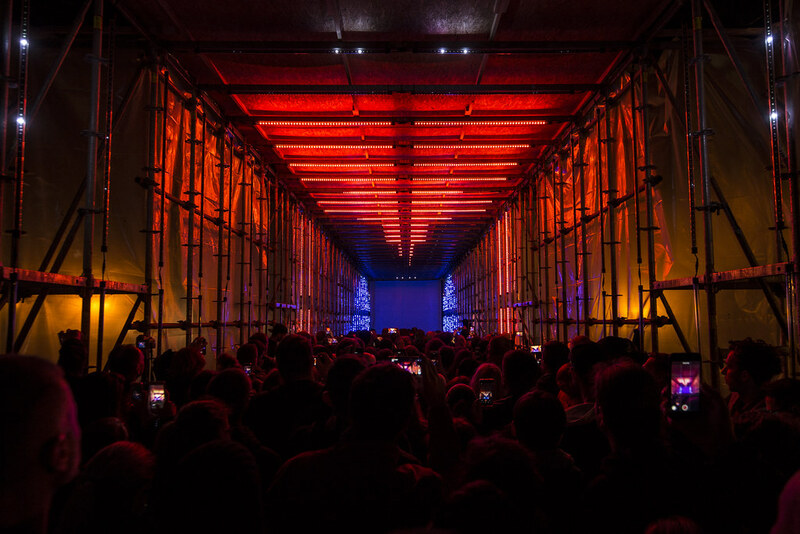 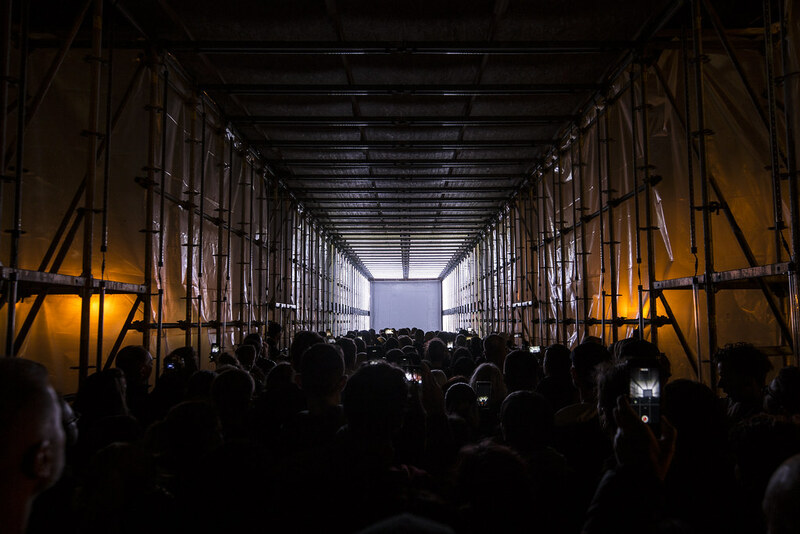 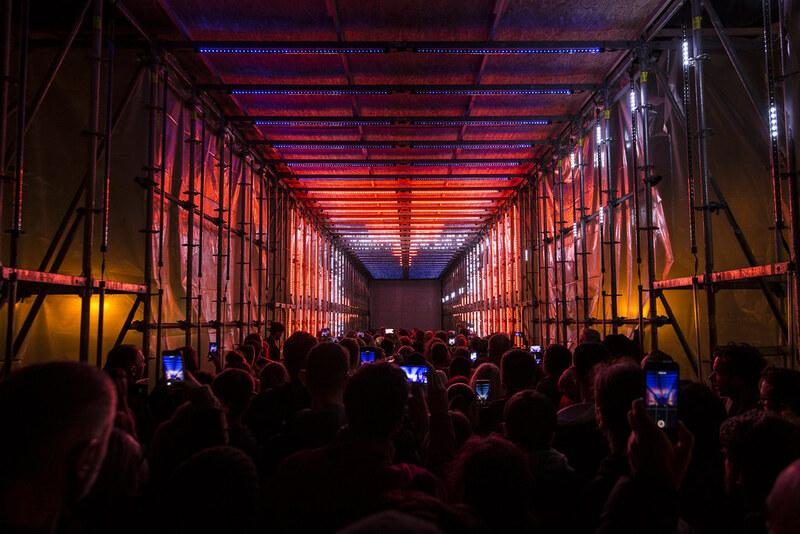 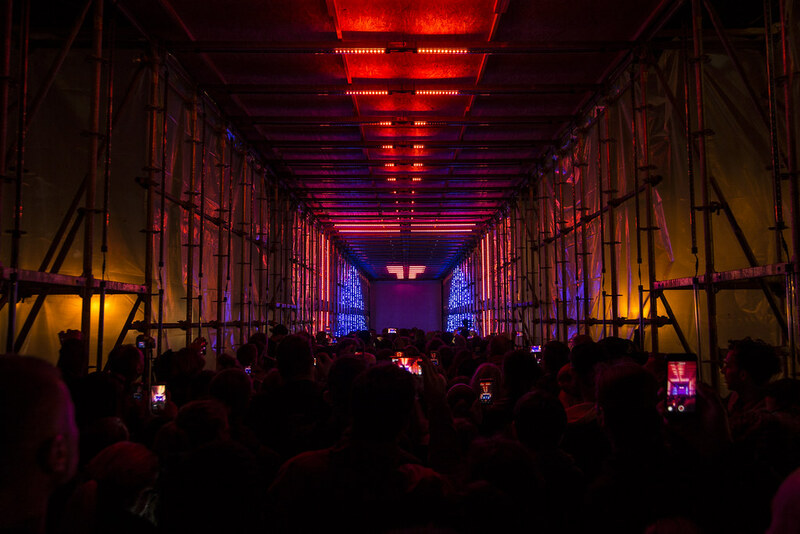 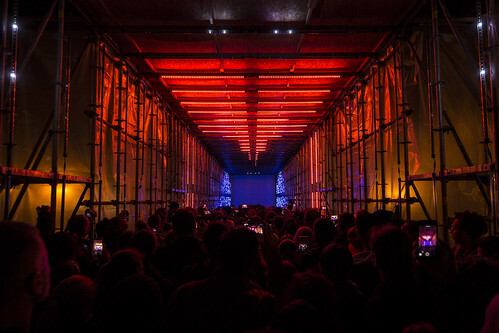 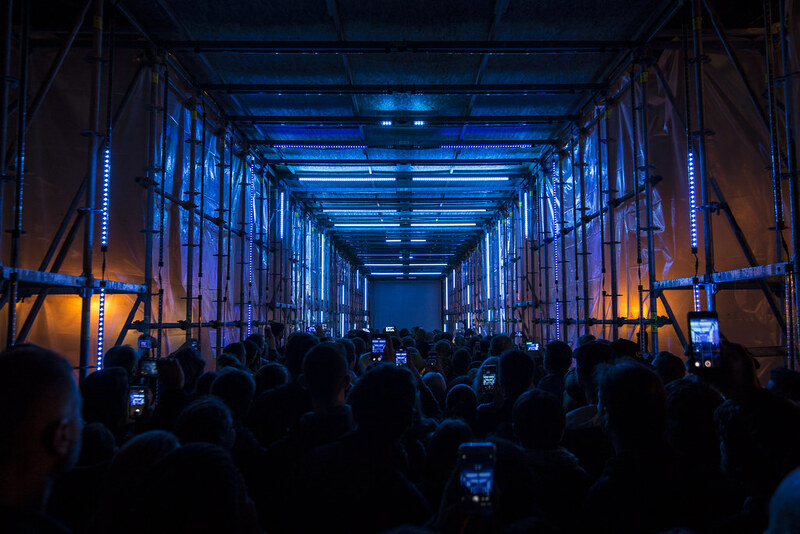 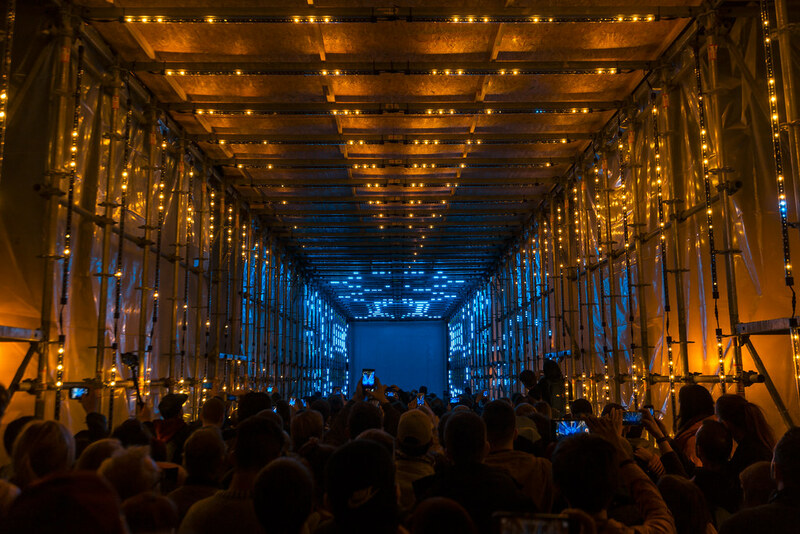 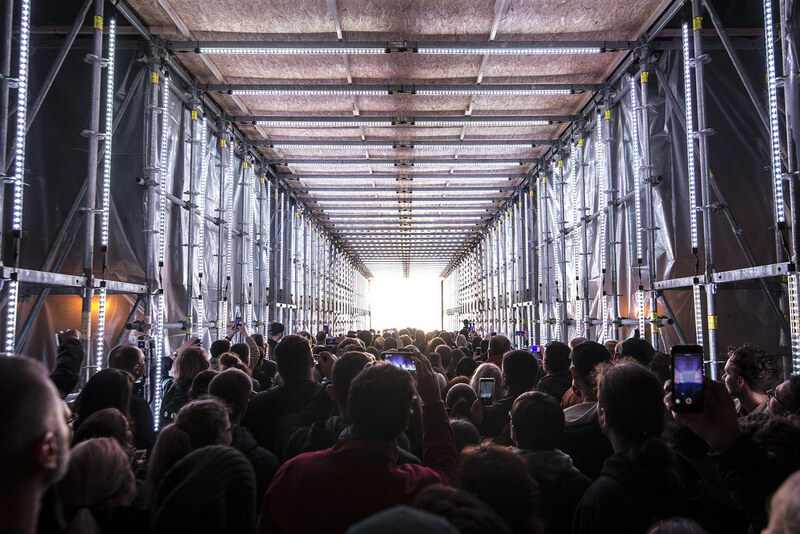 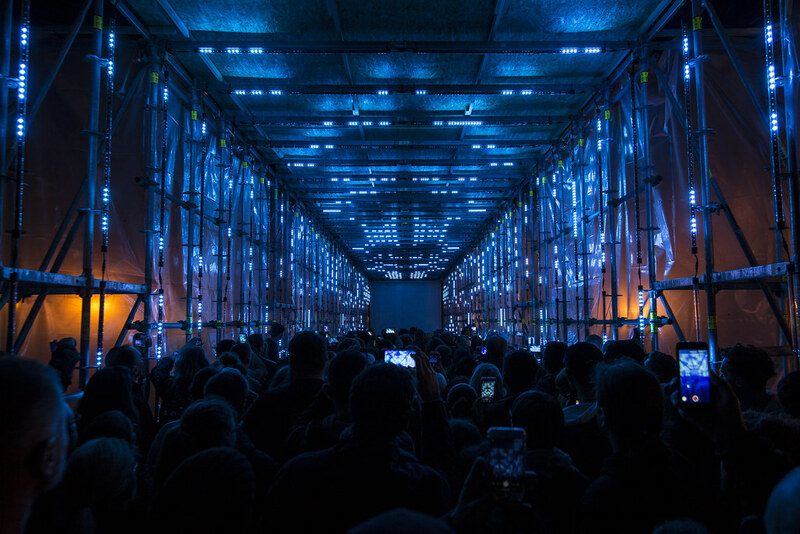 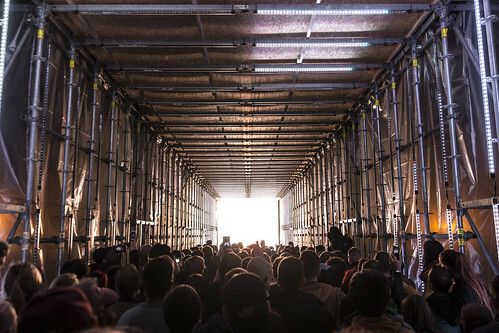 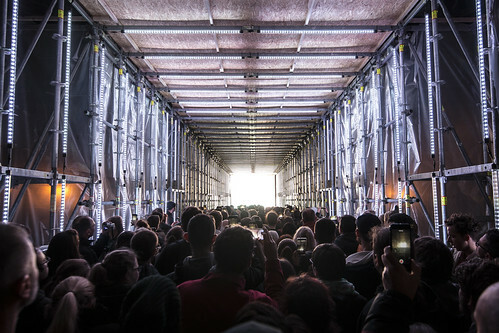 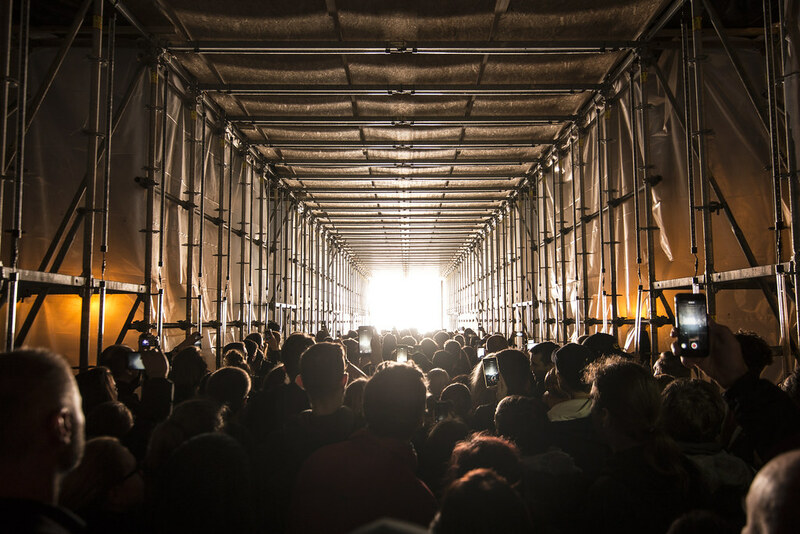 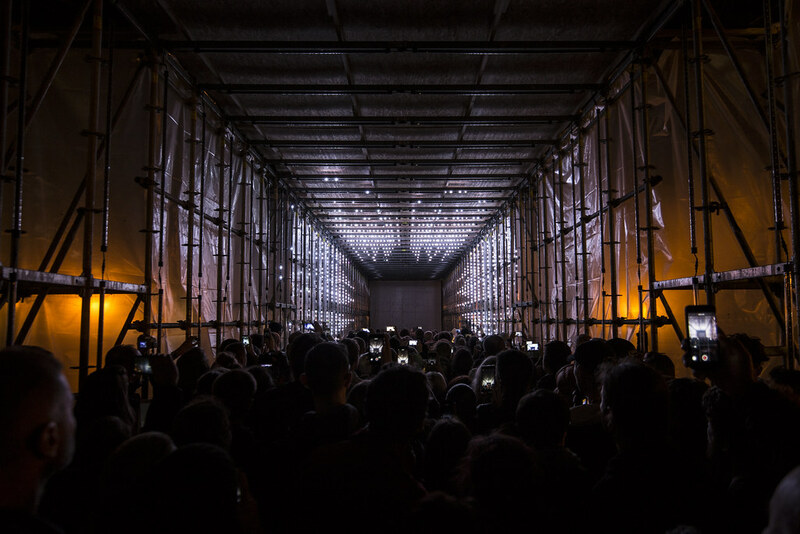 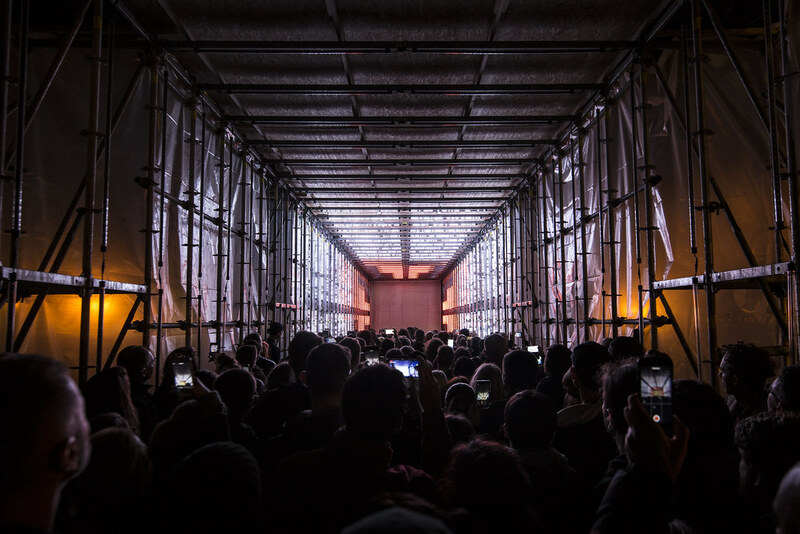 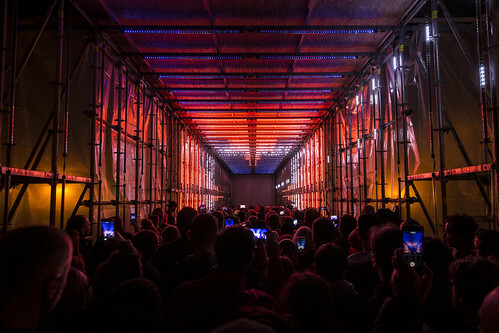 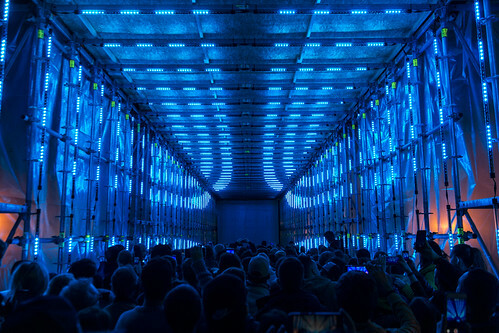 Waves of light and sound, crafted through self-made software, drive an immersive experience inside this 35m long tunnel.